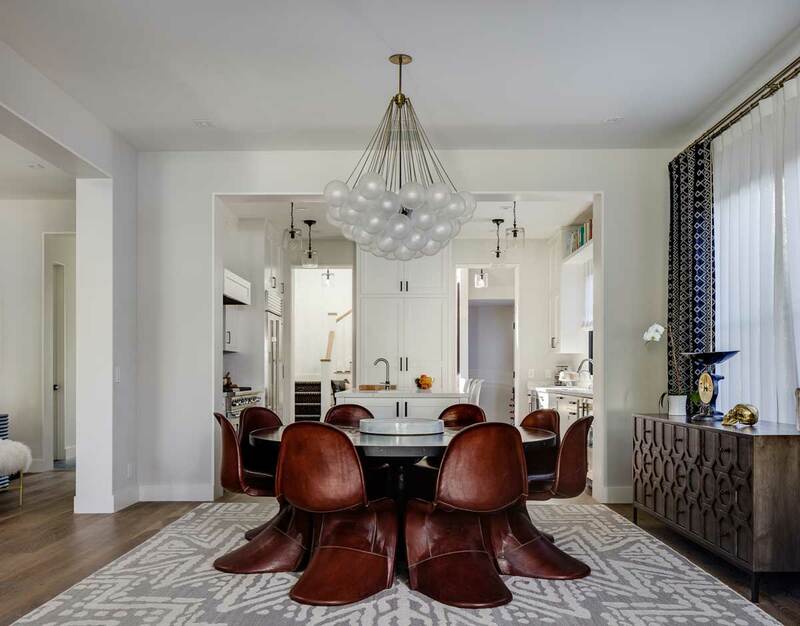 Light fixtures are an essential part of modern decor. 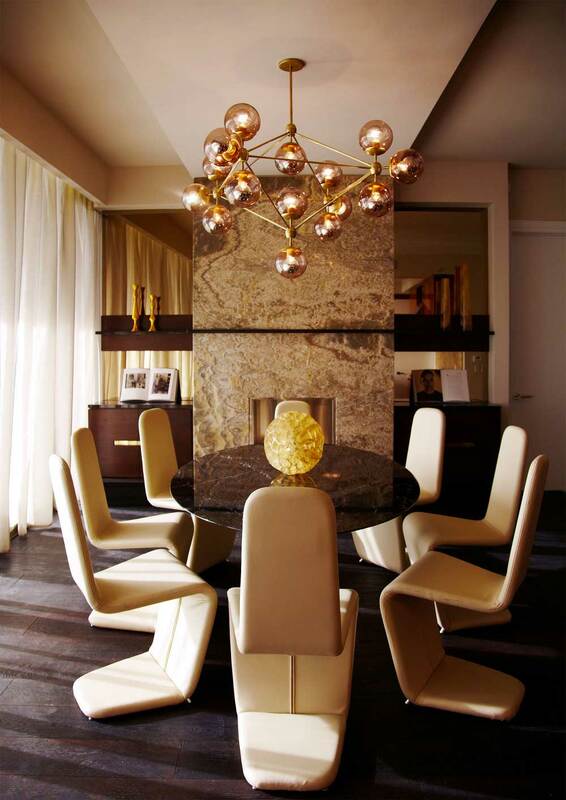 They brighten up a room, offer the much needed light to enjoy the space, and double as decor. 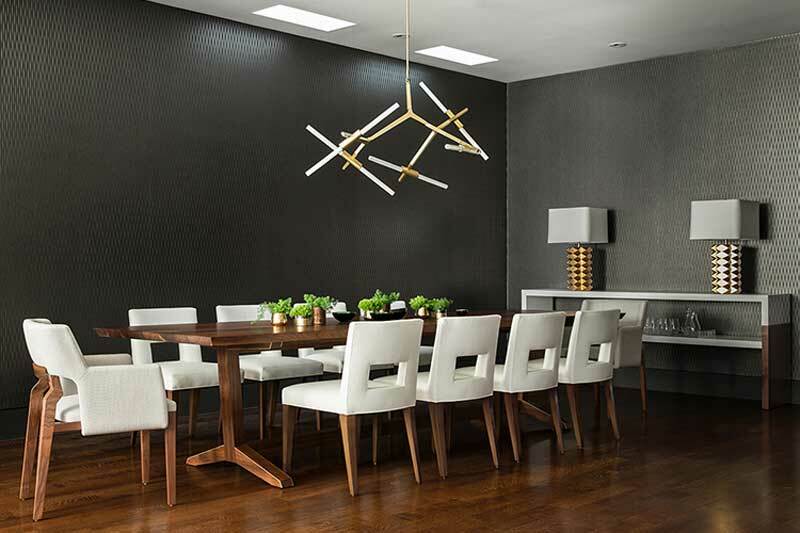 Modern dining room lighting is essential to jazz up any dining area with elegant contours, sophisticated chandeliers or rustic designs. 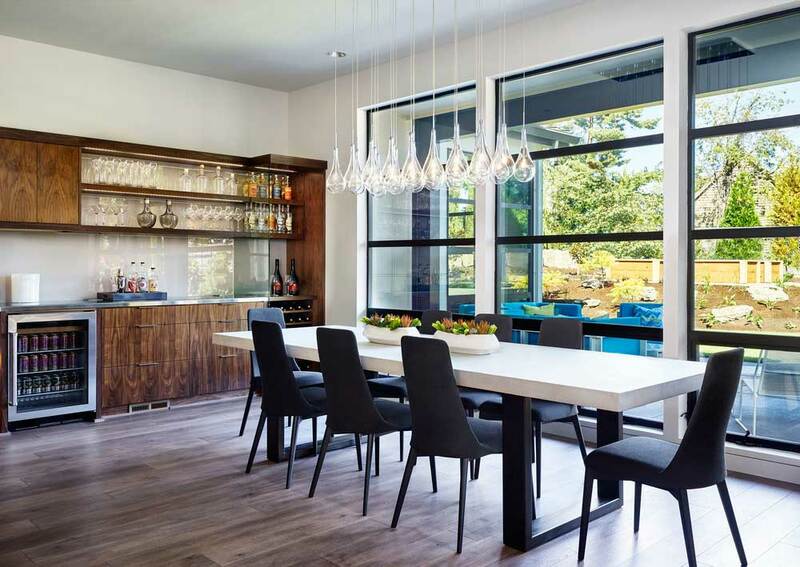 Whether it be glass, mixed metals, or a mixture of different lighting fixtures, modern dining room lighting has a lot to offer. 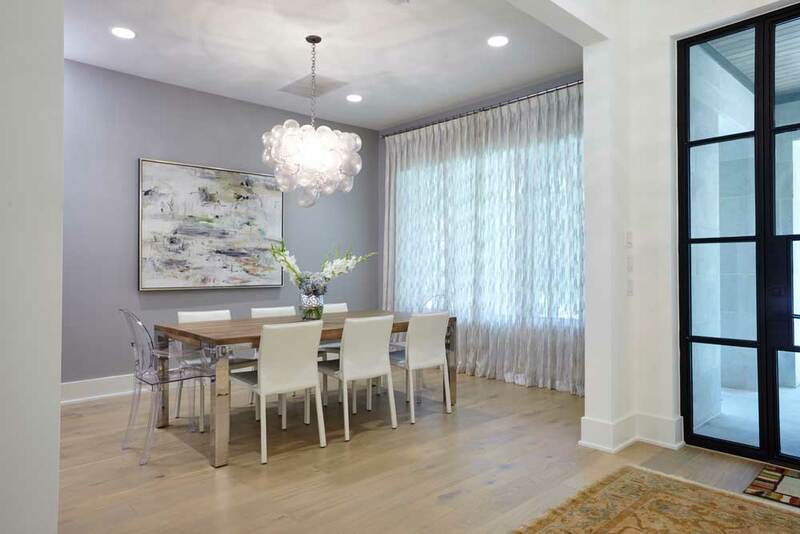 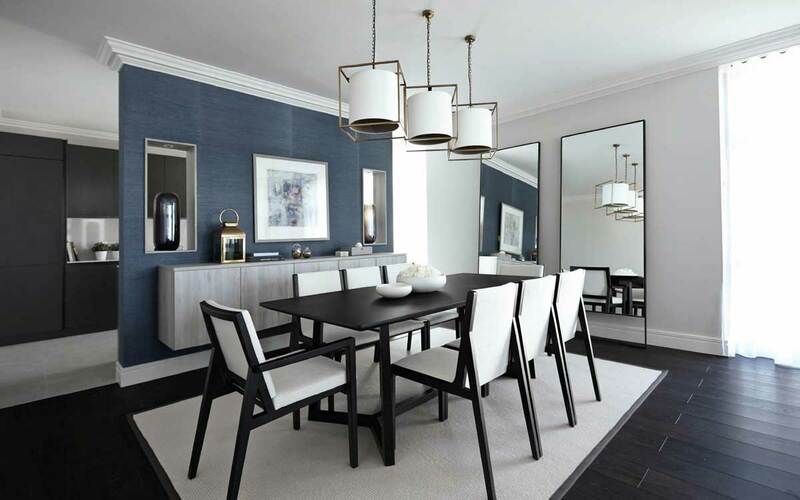 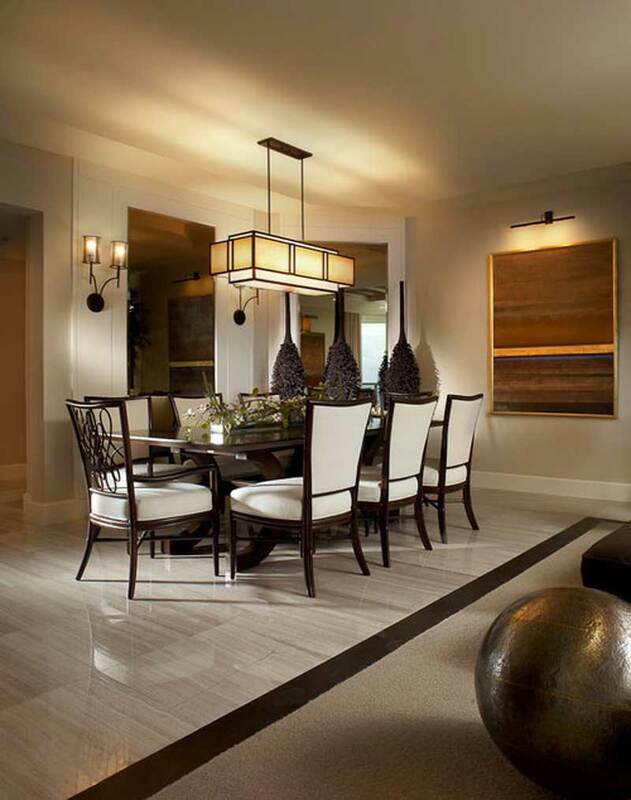 Using floor lamps, table lamps, pendants, or other types, the fixtures complement a room and create the exact ambiance you want to achieve in your dining room. 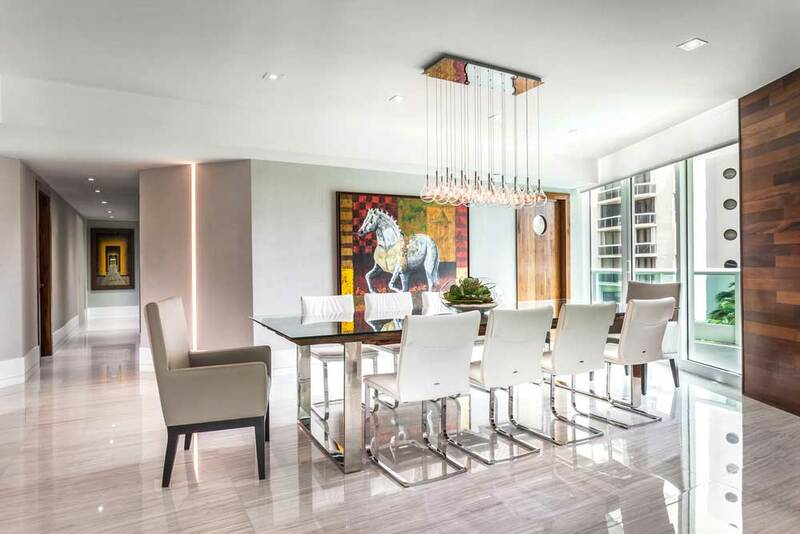 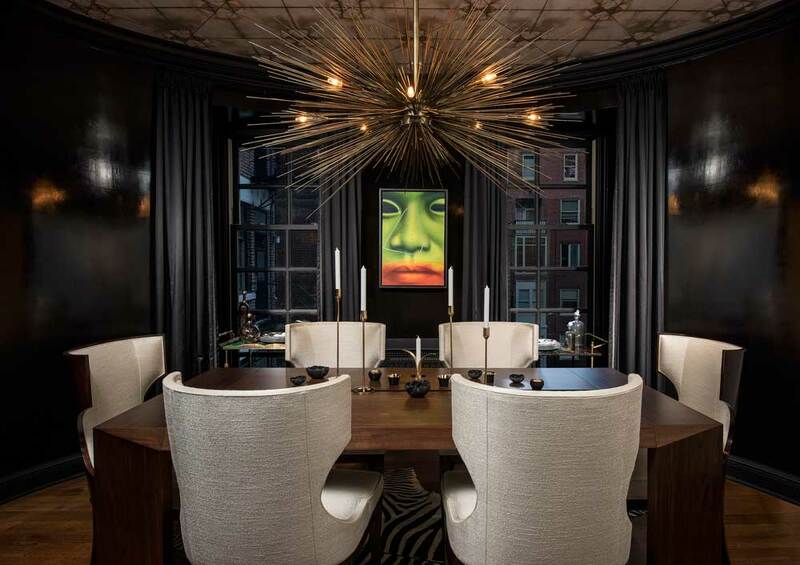 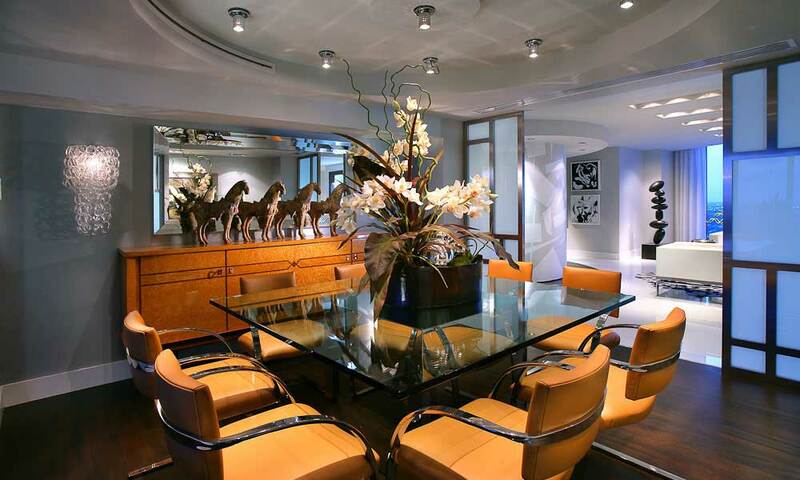 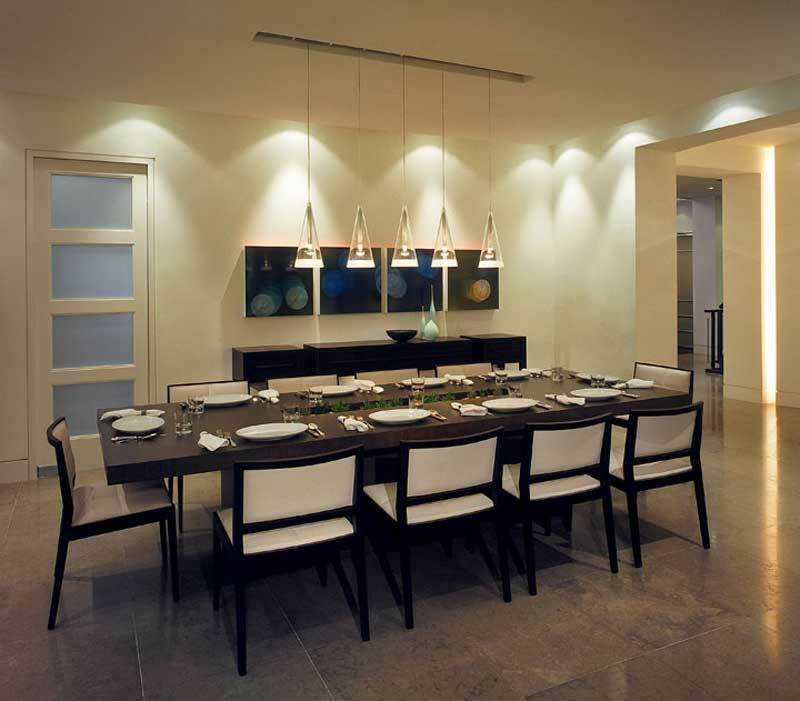 Personalize the space with modern dining room lighting. 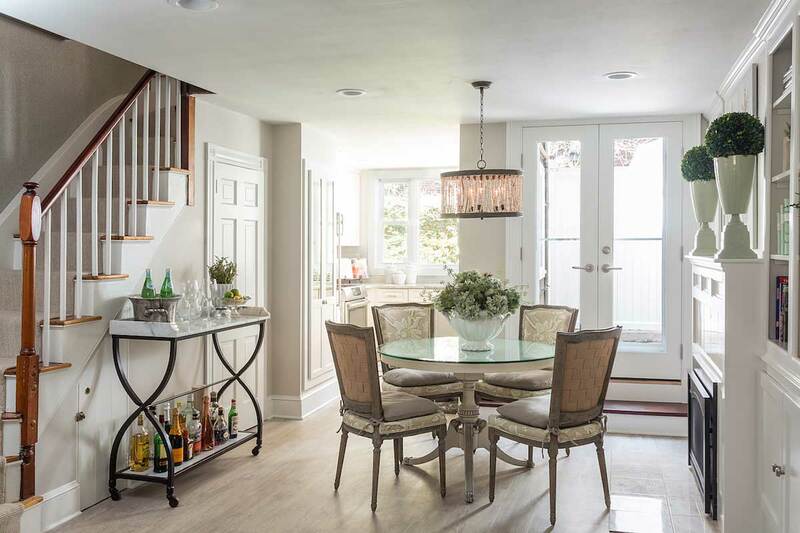 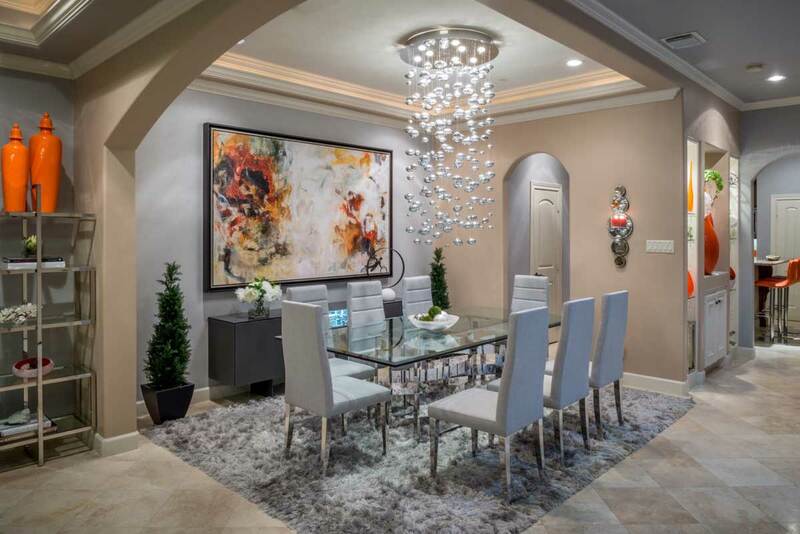 Below we have some of the best types of lighting fixtures you need to modernize the dining area while giving the space useful well-lit vibes, splashes of color where you choose and an overall sophisticated look. 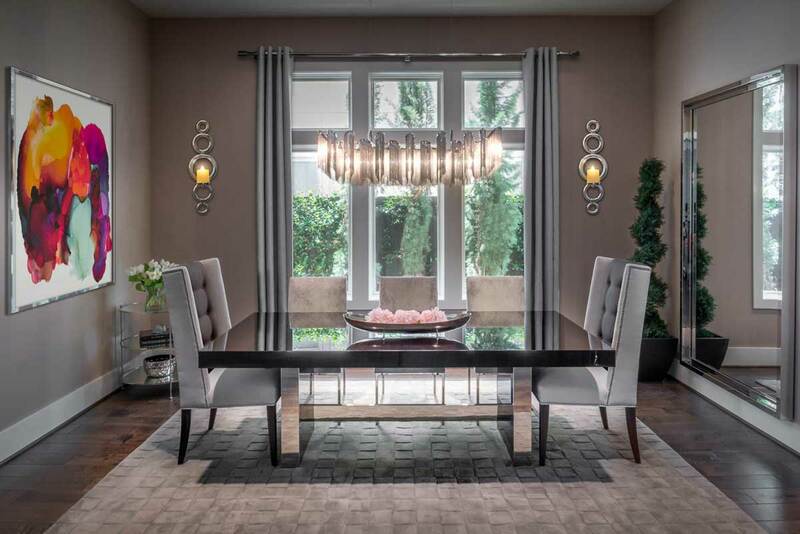 Get the dining room that looks like you ordered it from a magazine just by choosing a few stylish dining room lighting fixtures. 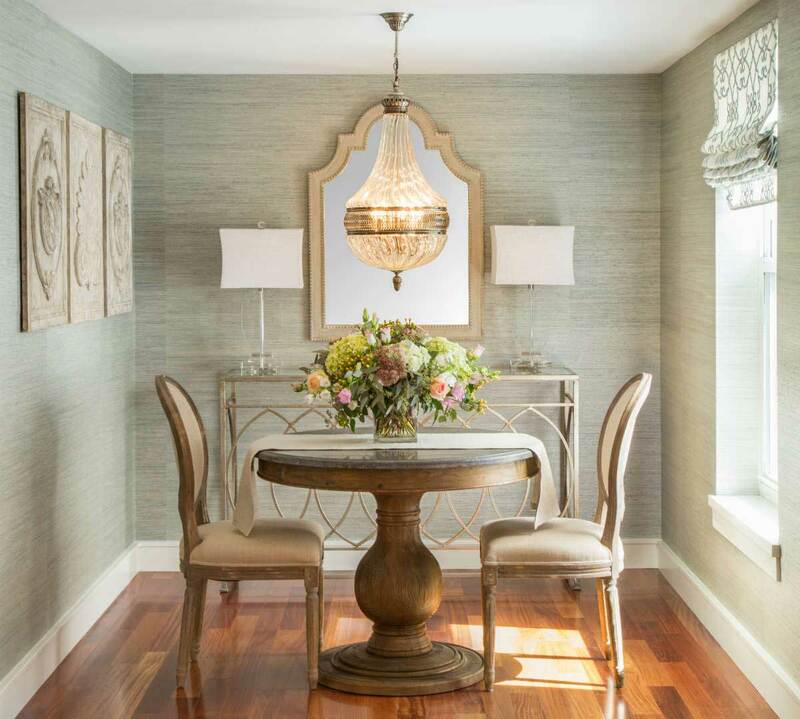 Use it as a way to express your personality and create a dining room that people will want to enjoy a fine meal over a nice conversation. 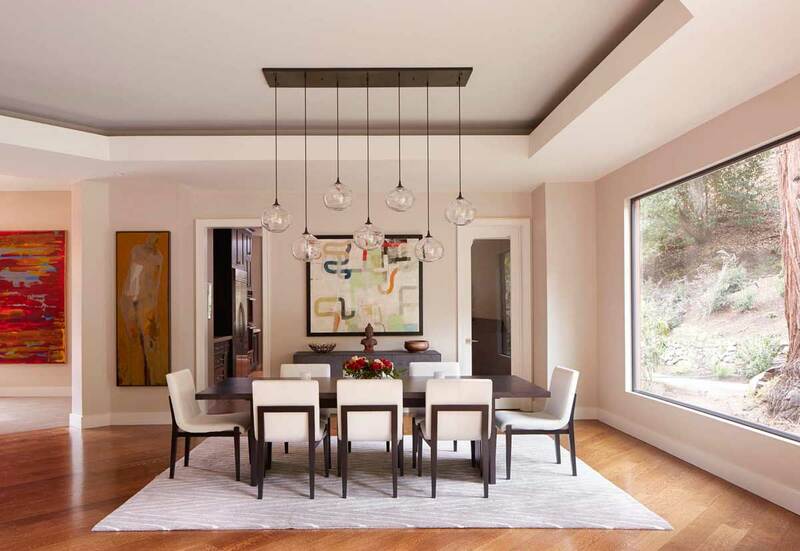 Cluster: Choose 3-6 pendant lights of different colors, finishes and shapes for an overall modern design that becomes the focal point of any dining room. 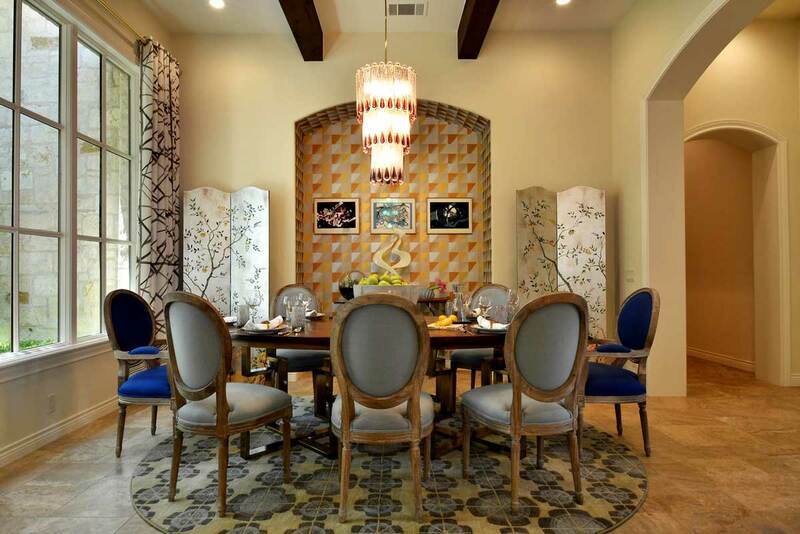 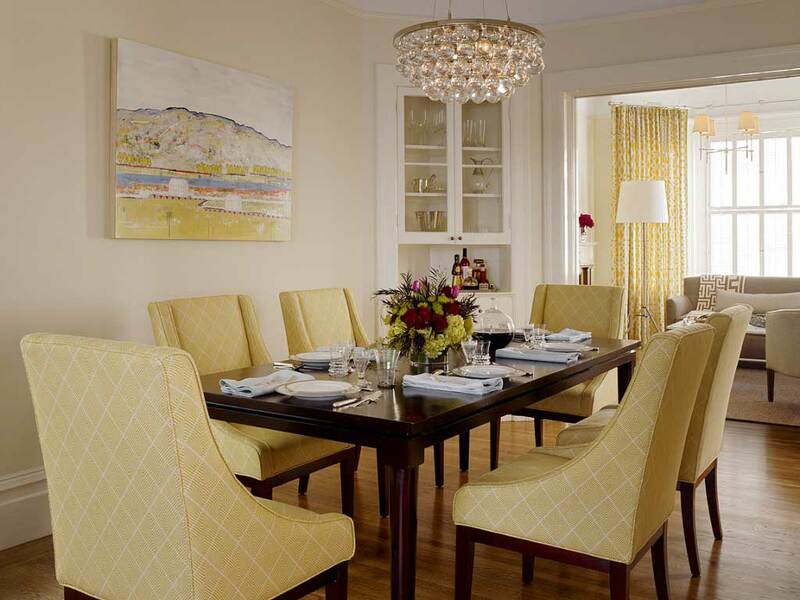 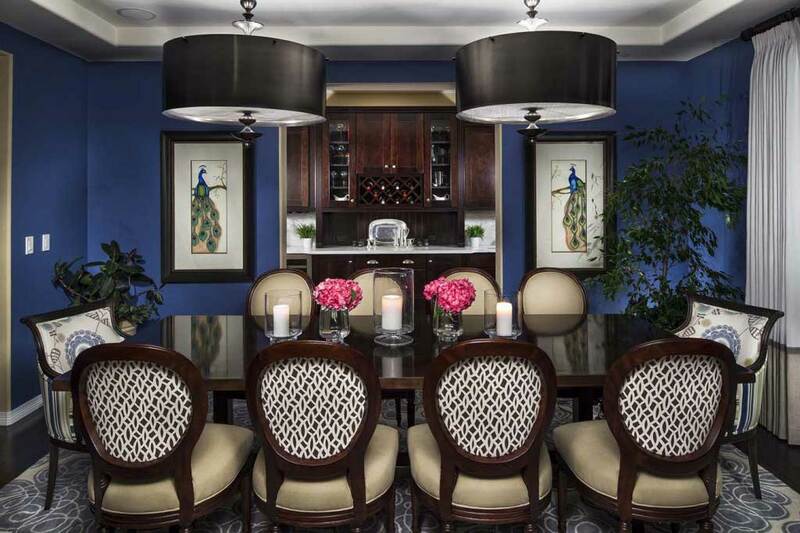 Use the fixtures to add pops of color and you have designed a picture-worthy dining room. 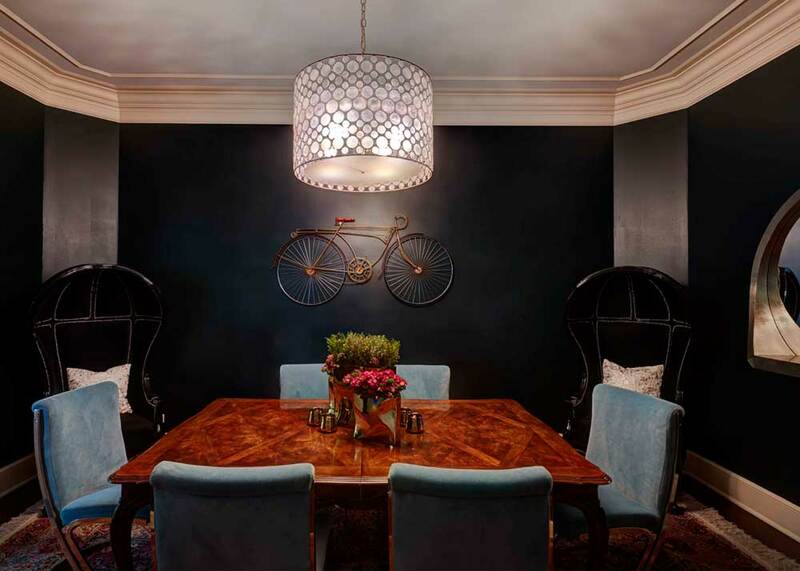 Hang the fixtures at differing lengths for a cool vibe! 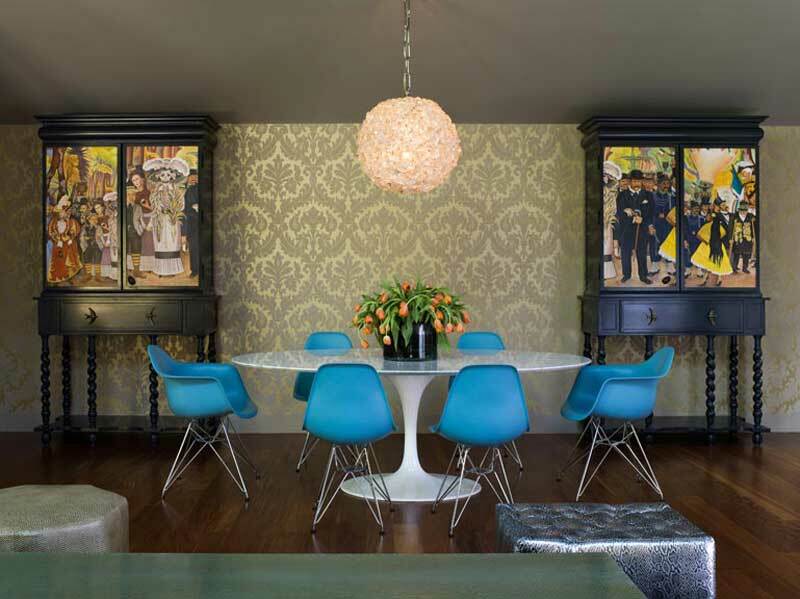 Drum: Choose a Drum fixture for a more classic look, while adding splashes of color with wall art. 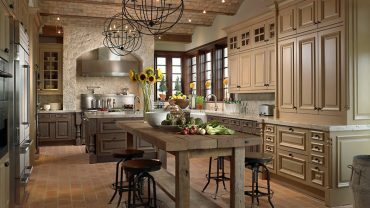 Globe: A globe design allows for a rustic yet contemporary look. 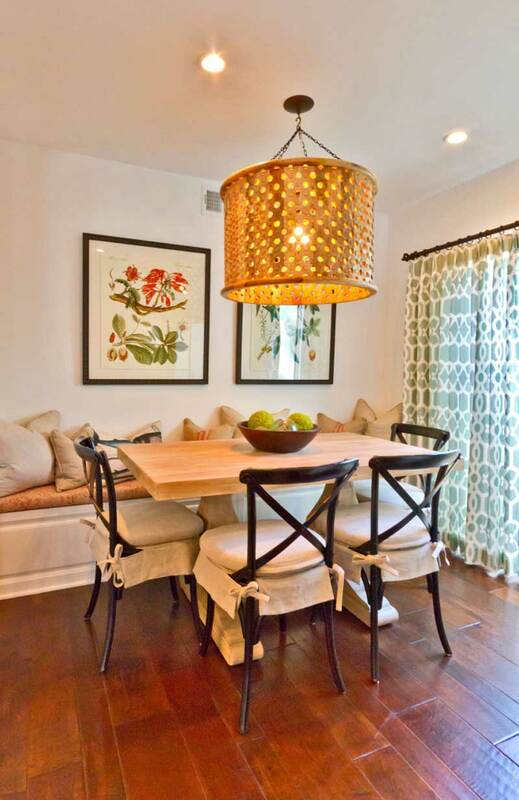 Cage: Purchase a cage light for an outdoors-indoors feel with a rustic look and cozy ambience. 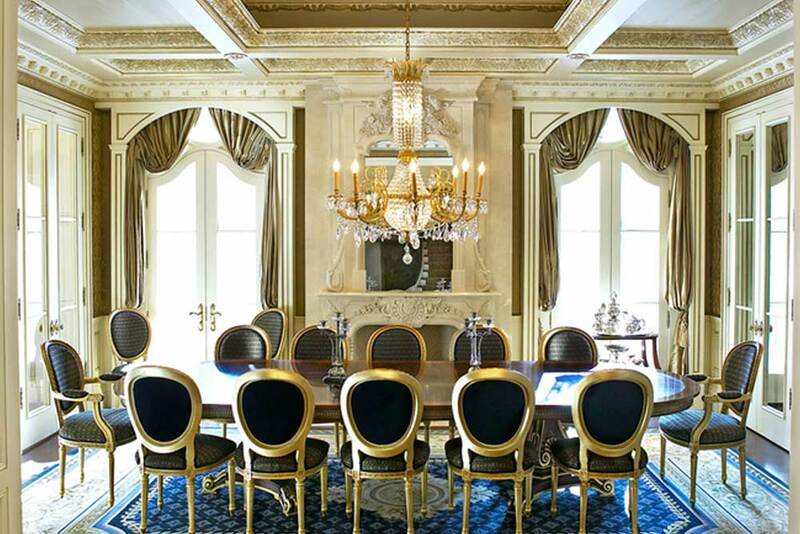 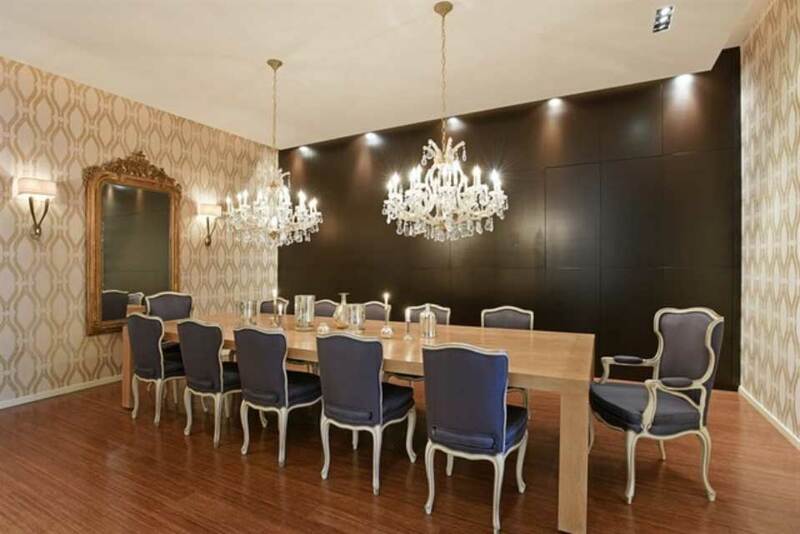 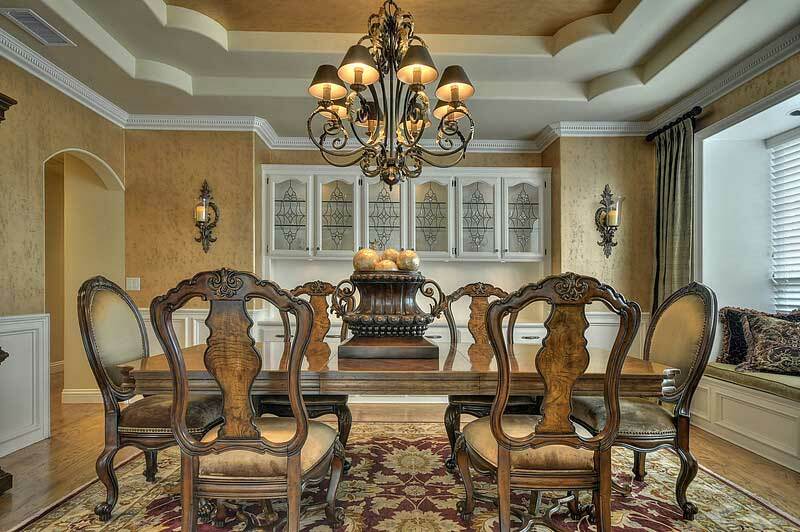 Crystal chandelier: Perfect to dress up any dining room with a super elegant look. 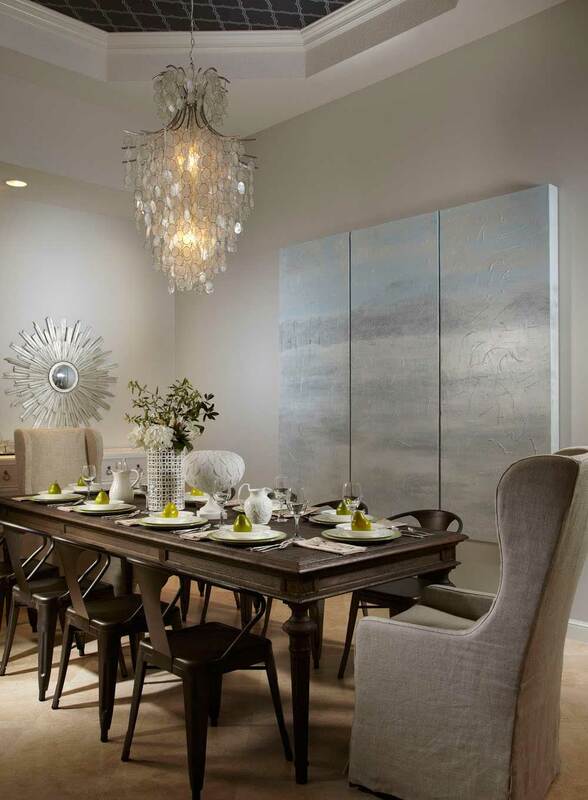 A smaller piece can spice up the room yet remain modern without overpowering the room. 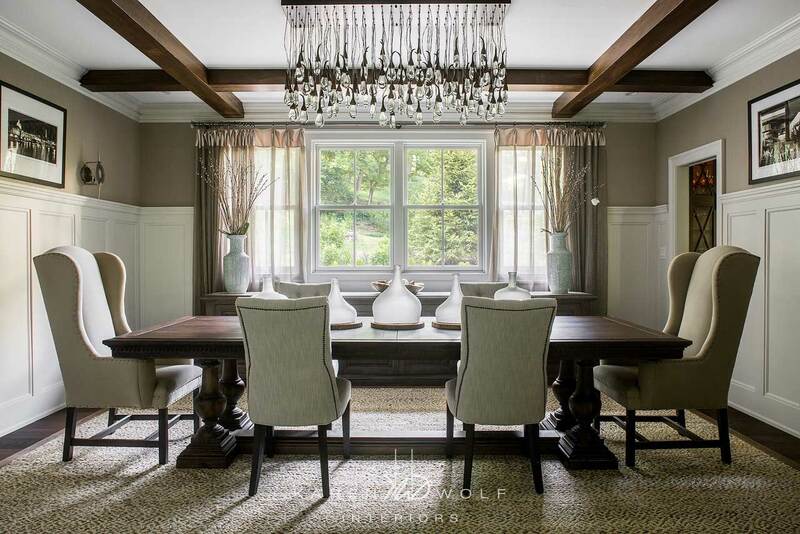 Crystal chandeliers look best with neutral designs. 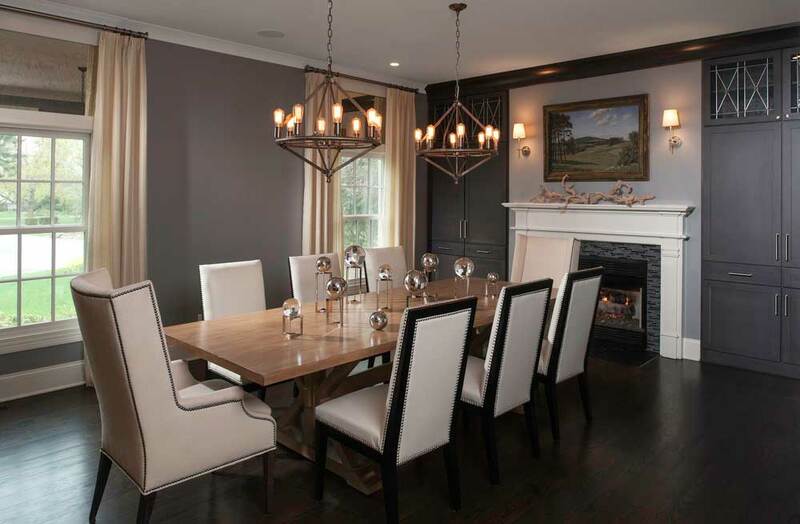 Candle Style: Bring warmth and style together with a candle style chandelier. 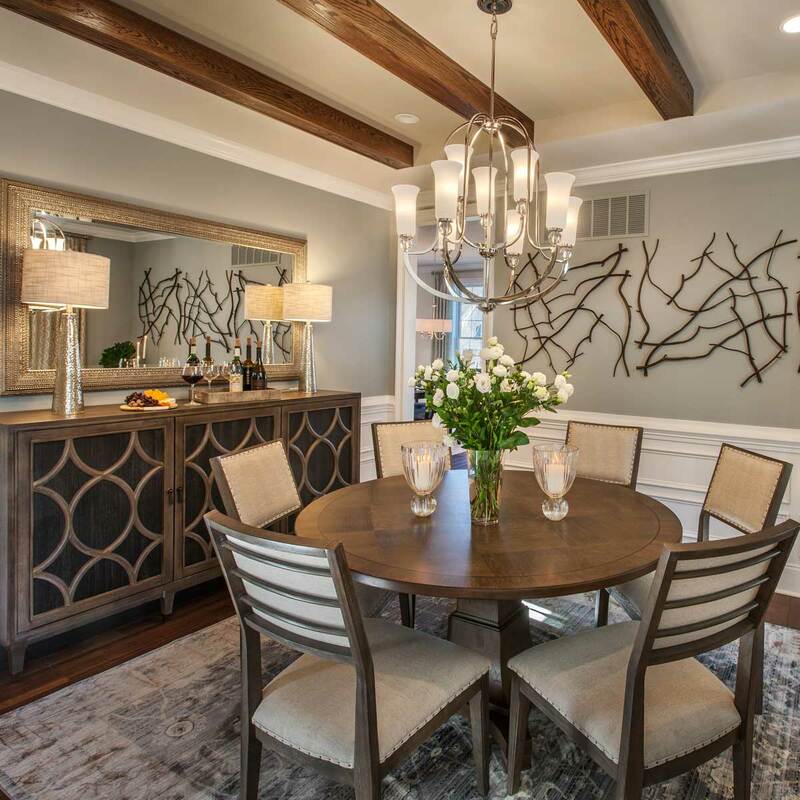 This style will be the focal piece if the dining room yet doesn’t overpower any other points of interest you may have in the dining room. 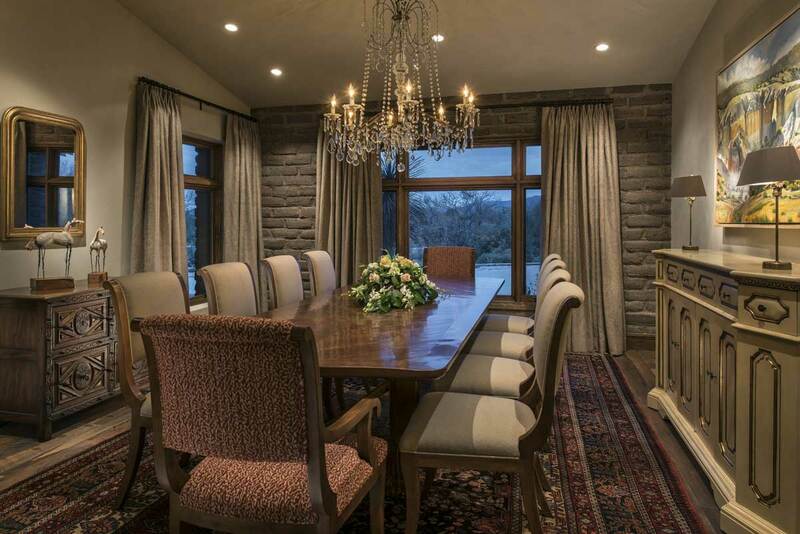 It’s cozy and doesn’t go out of style. 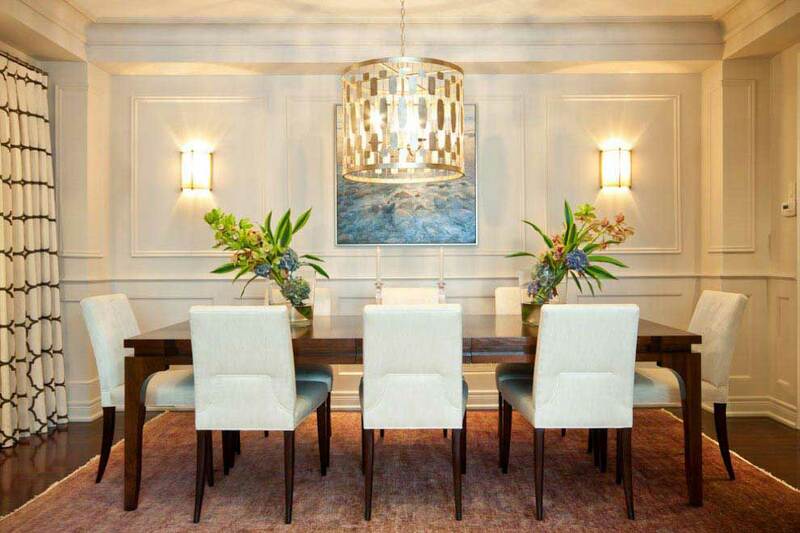 A wall sconce is a great modern dining room lighting choice for smaller dining rooms. 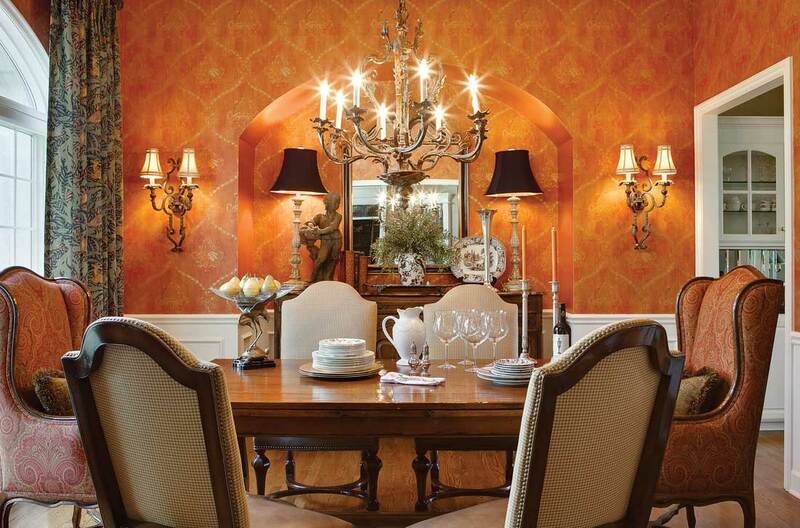 In a smaller room, the light coming from the wall sconces can sufficiently light the room and set the ambiance. 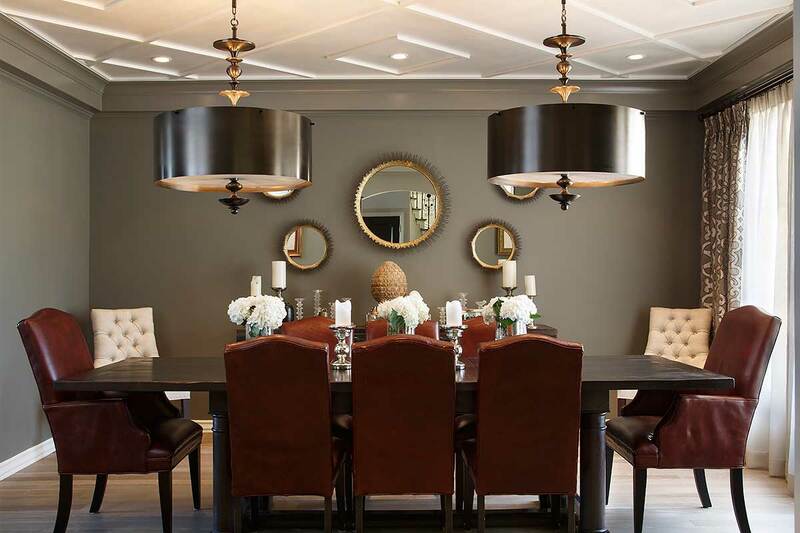 If you have a larger dining room, wall sconces can be great for task lighting and accent lighting, and a hanging pendant can be used for meal time. 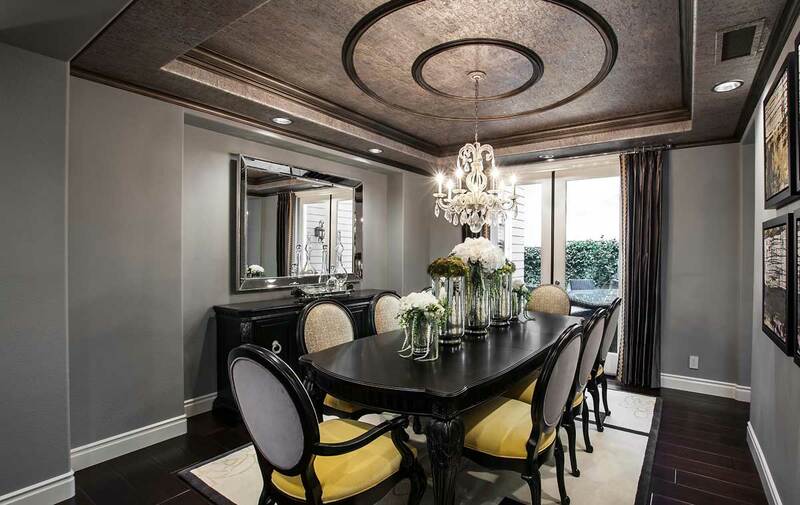 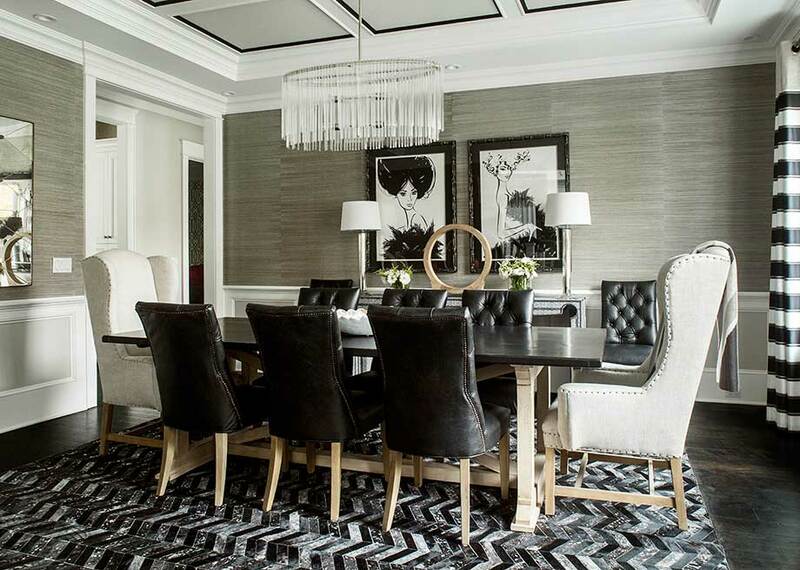 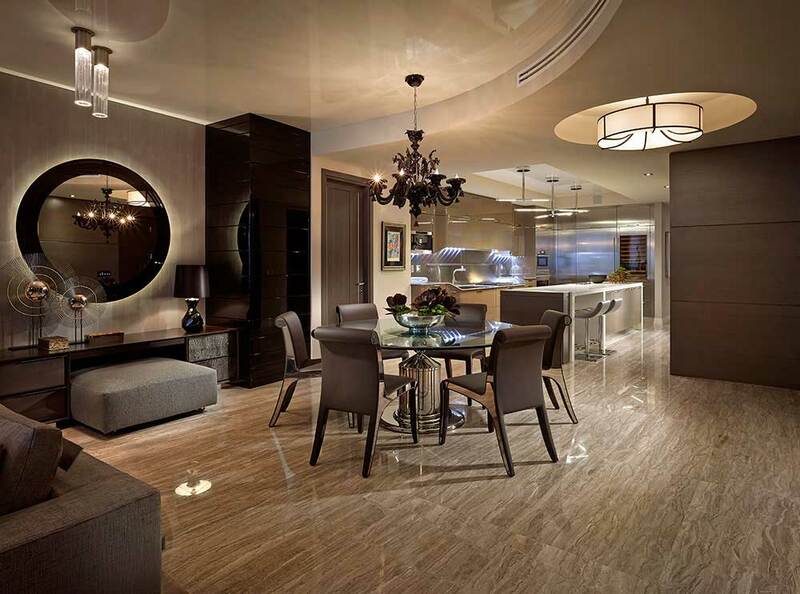 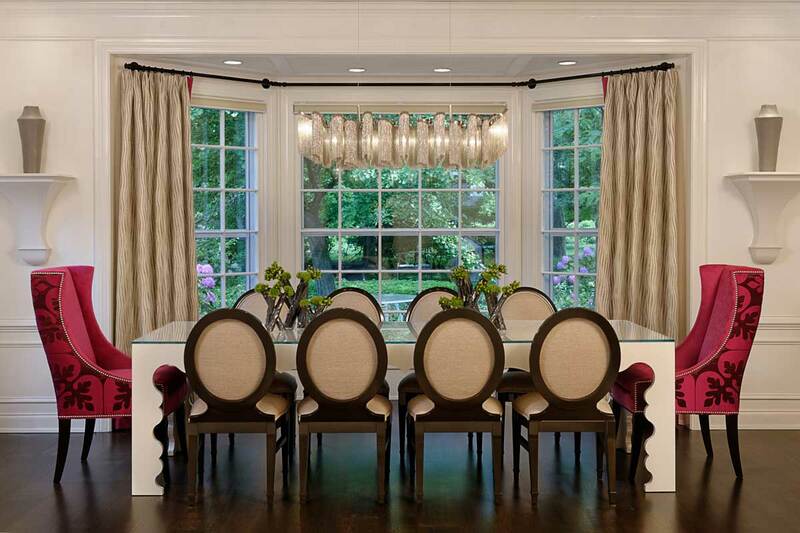 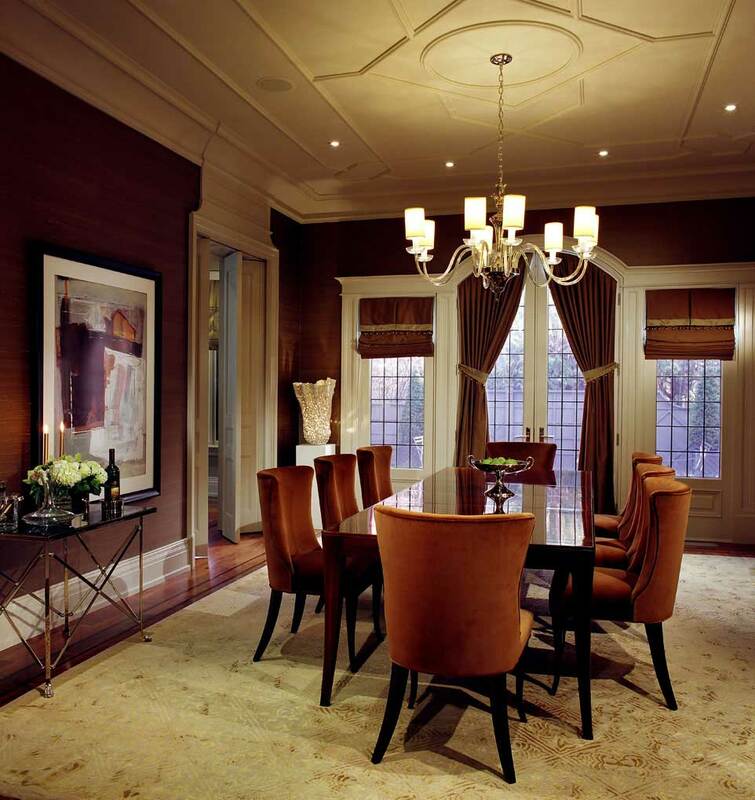 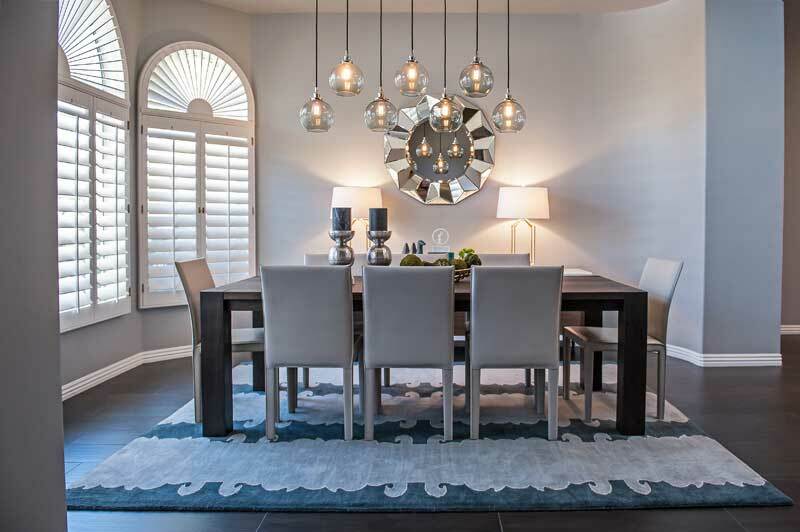 Recessed lighting is a classic yet still very modern dining room lighting choice. 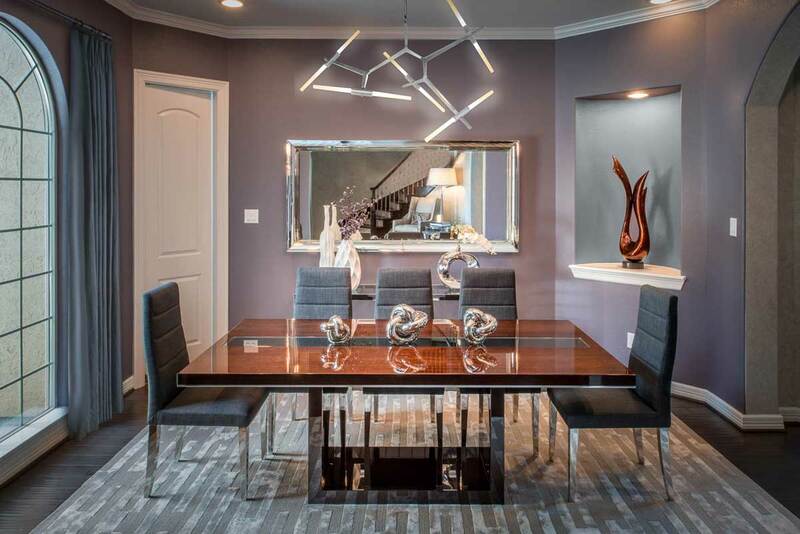 Choose this LED, energy-efficient option for a clean and contemporary feel to add the right amount of lighting to the dining room and leave the attention to another focal point, such as wall art or statement chairs. 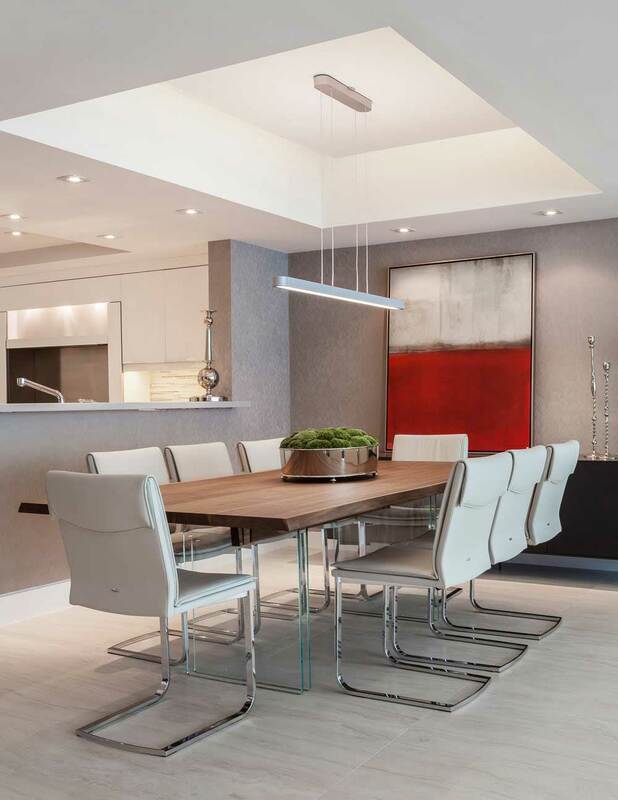 Recessed lighting is sleek and great for highlighting any modern wall art in the room. 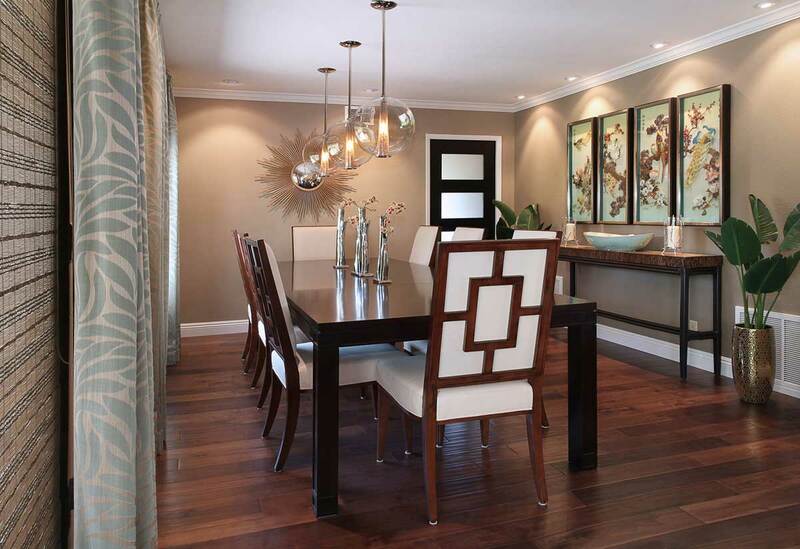 Lamps and shades offer great accent lighting for any armoires or side tables you may have in the dining room. 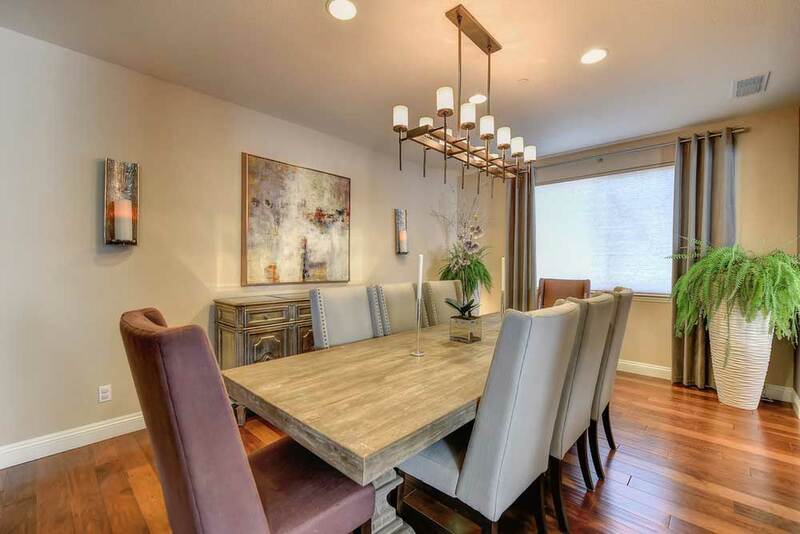 Use lamps to complement any modern dining room lighting you may have hanging above the dining room table, and have the ease of lamps for task lighting or to set the ambience. 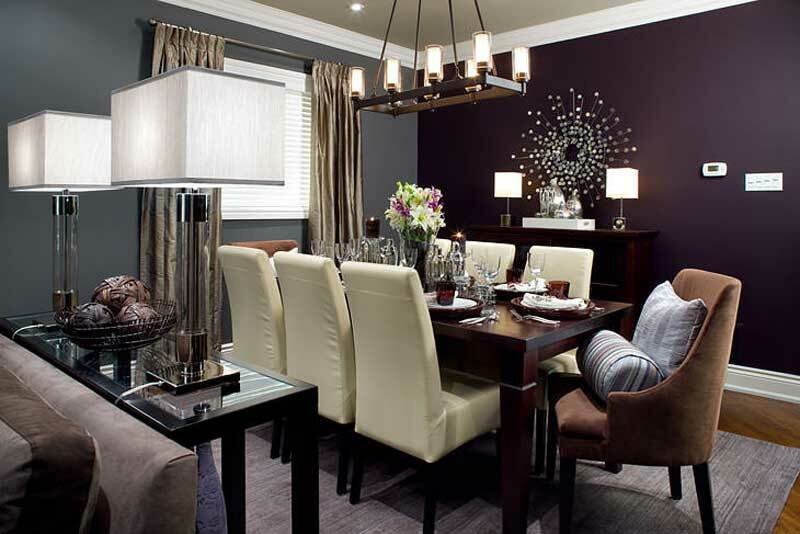 They can make great accent pieces; choosing bright lamp shades can help spice up the room. 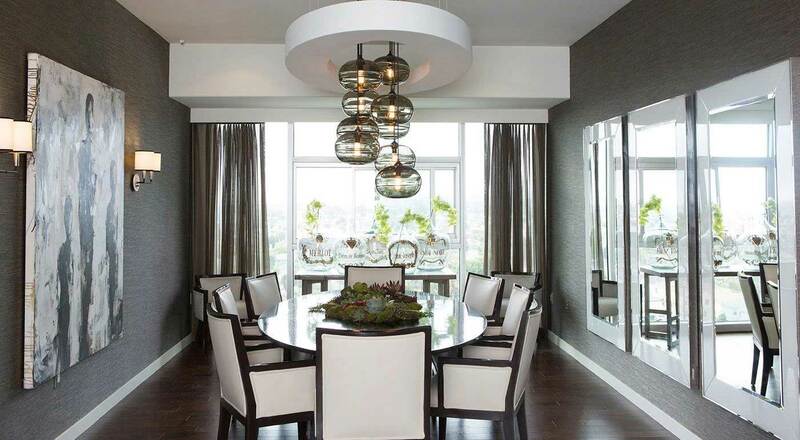 Why not try a mixture of different modern dining room lighting fixtures? 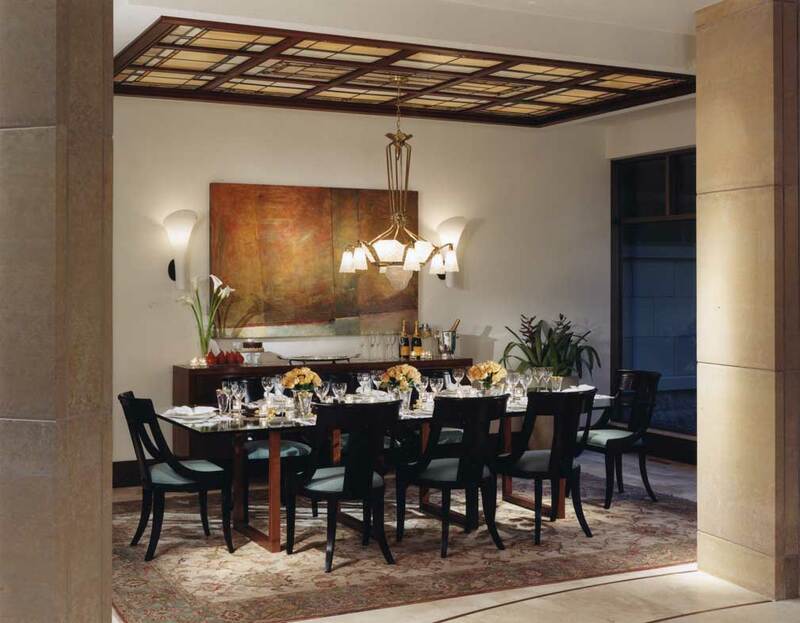 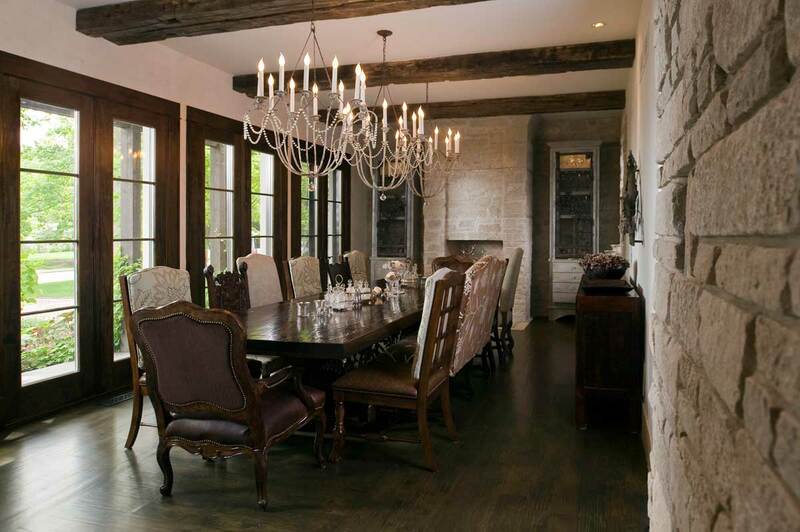 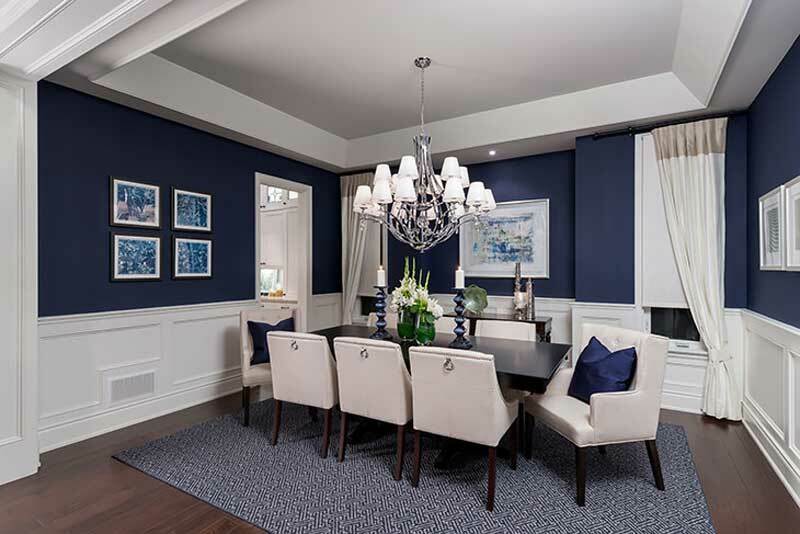 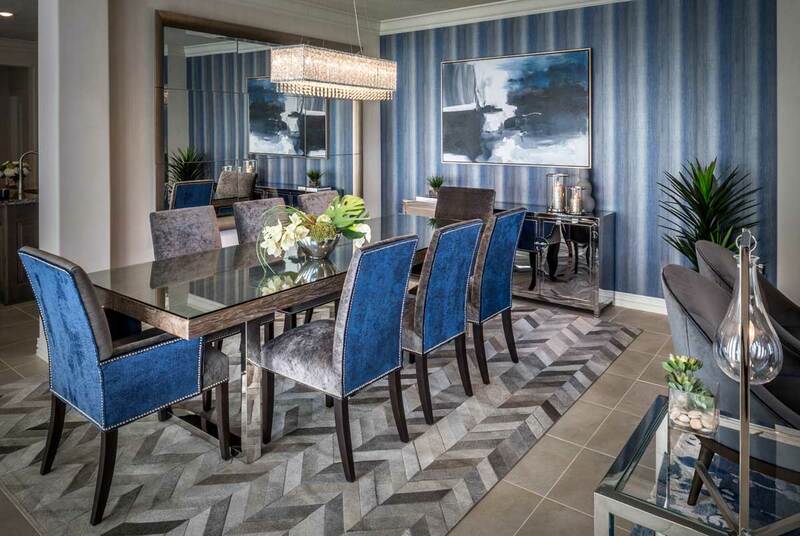 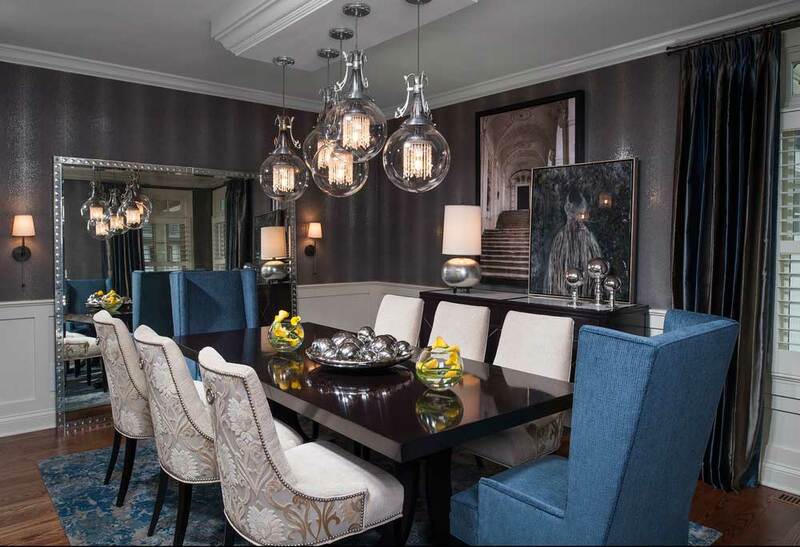 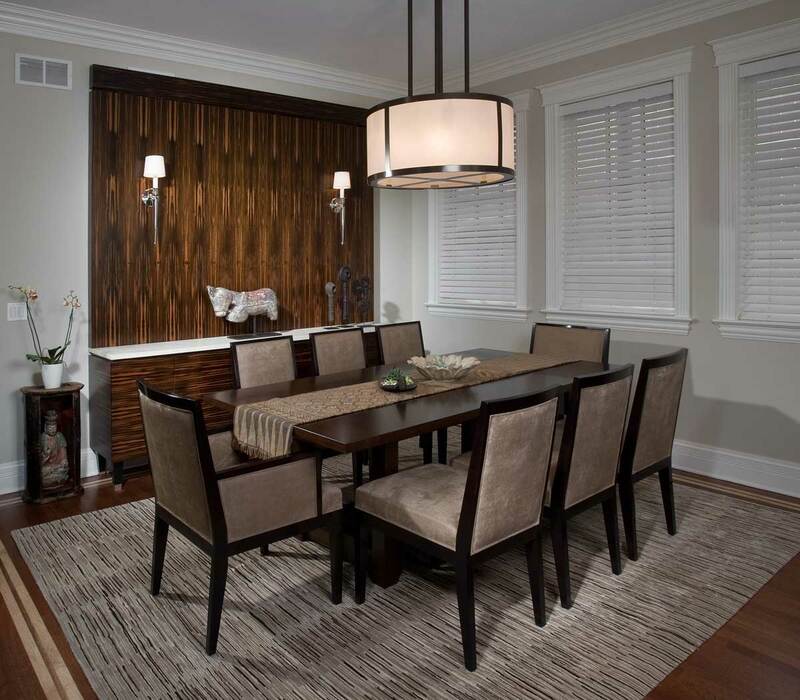 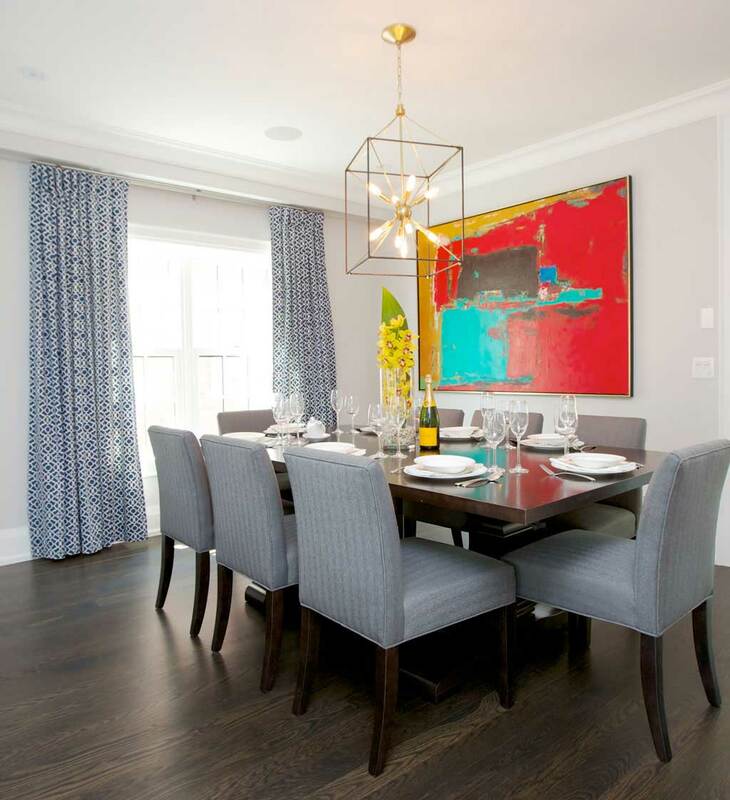 A large dining room can be well-lit using pendant light, recessed lighting and table lamps to give a dynamic look. 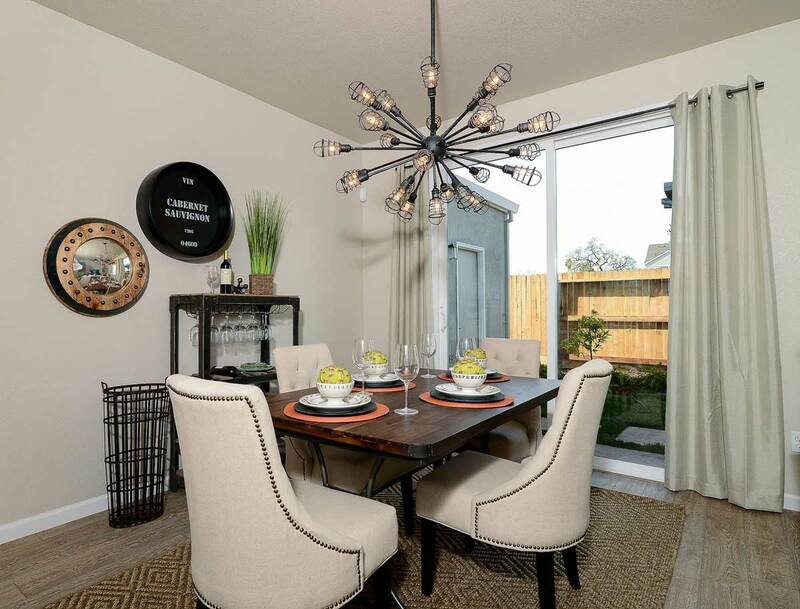 Having a variety of light fixtures can tie the decor together and allow you to choose how bright the room is at any time. 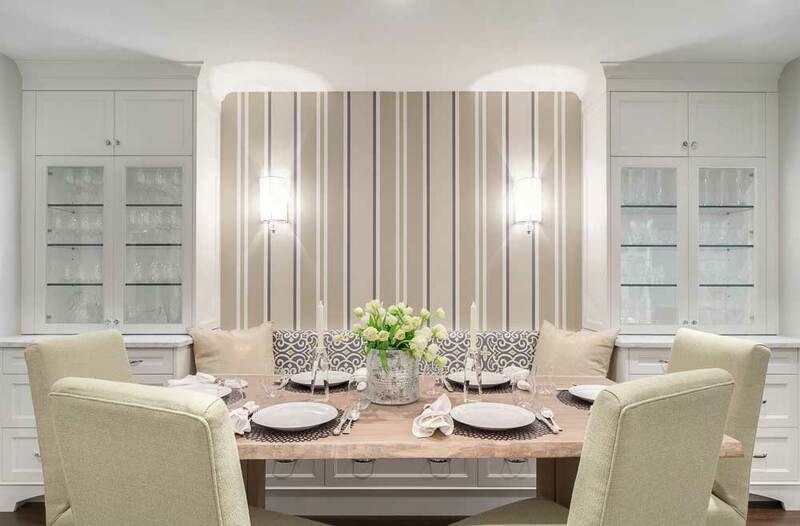 When doing this, add the layers vertically (from the ceiling to the floor, as much as you would consider doing so horizontally (from one side of the room to the other side). 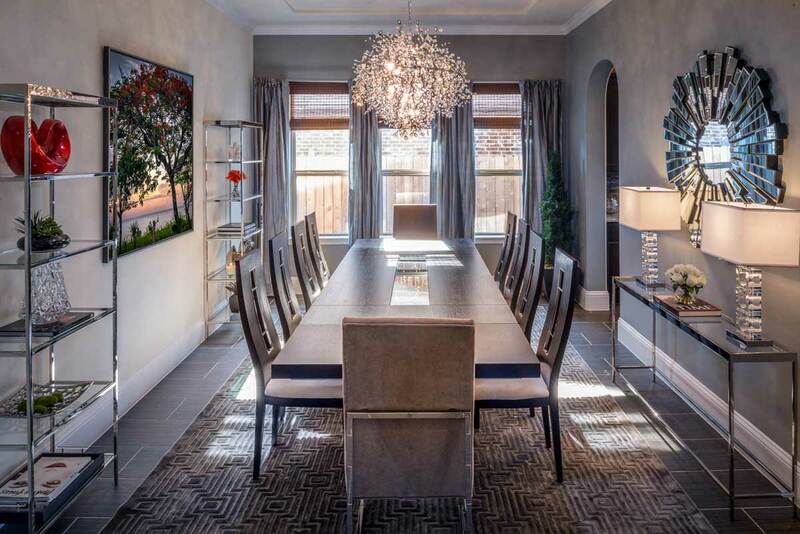 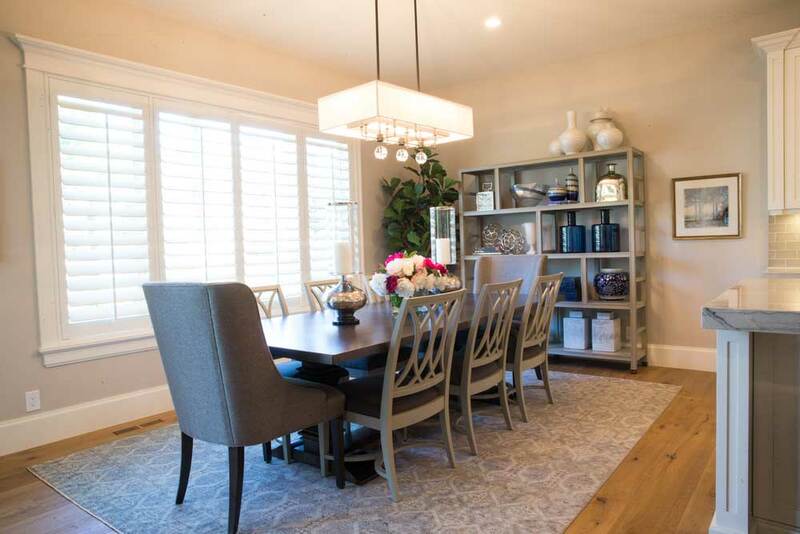 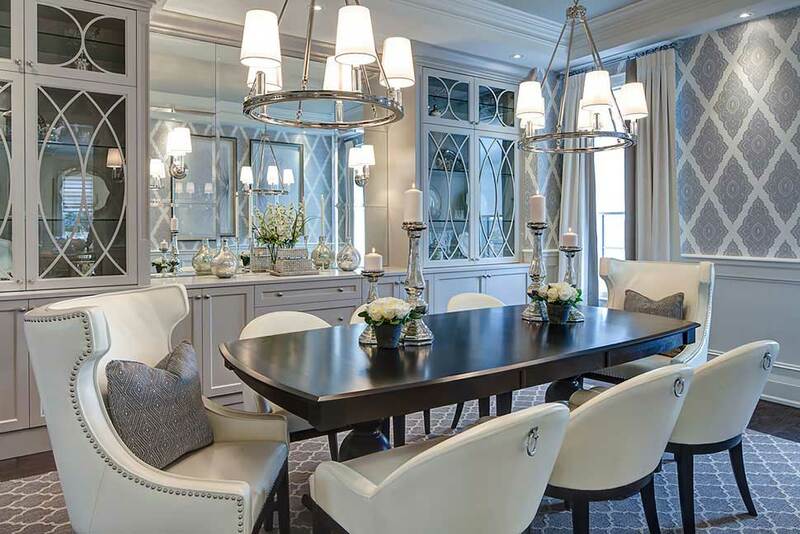 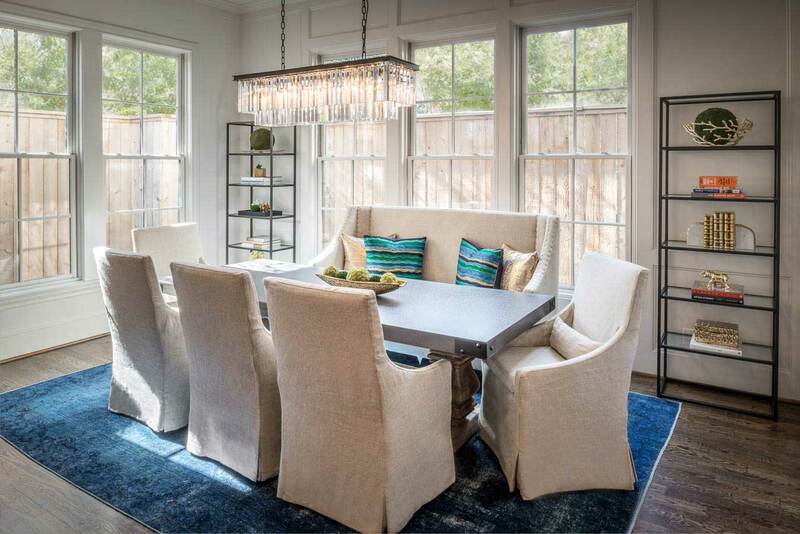 Light fixtures should complement the room and bring focus to the dining table, where everyone is coming to gather around for a nice meal and to be with each other. 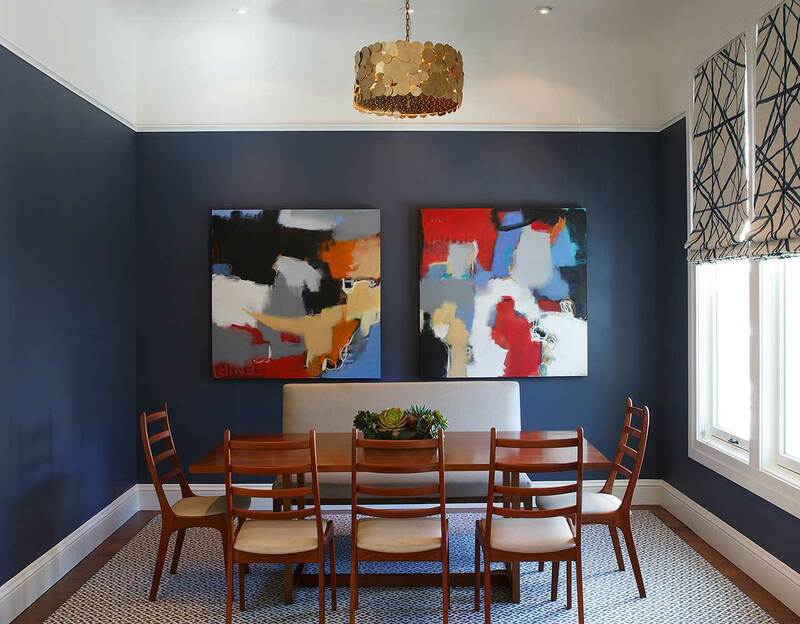 Unless you have specific recessed lights to bring focus to wall art or other decor, the focus of the fixtures should bring the room together and make it feel cozy. 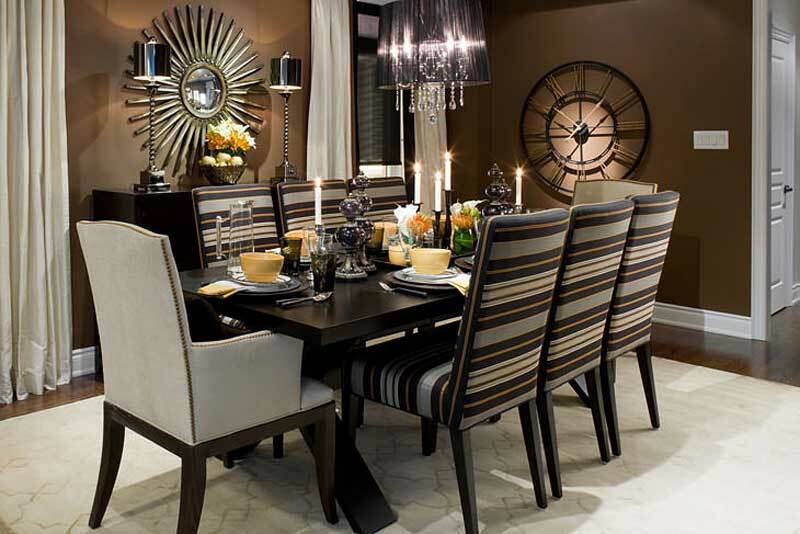 Keep everything modern by purchasing a nice dining table and surround it with modern furniture such as arm chairs. 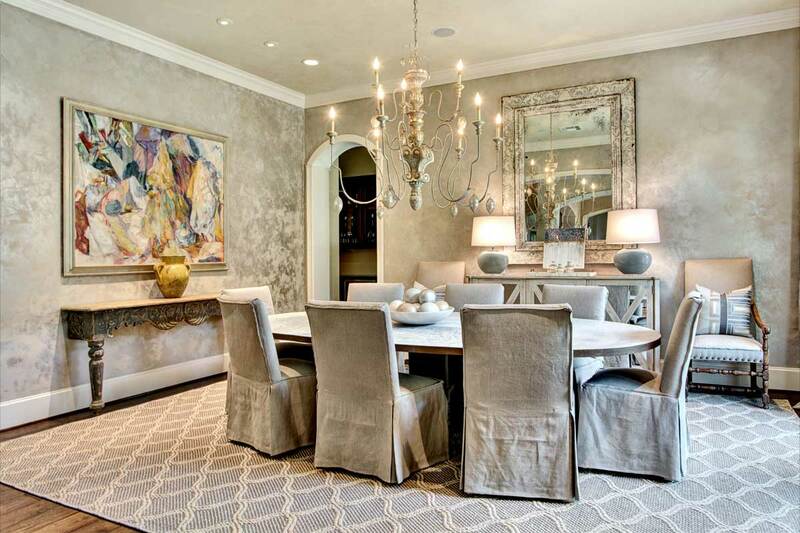 Decorate with wall art, table decor and mirrors. 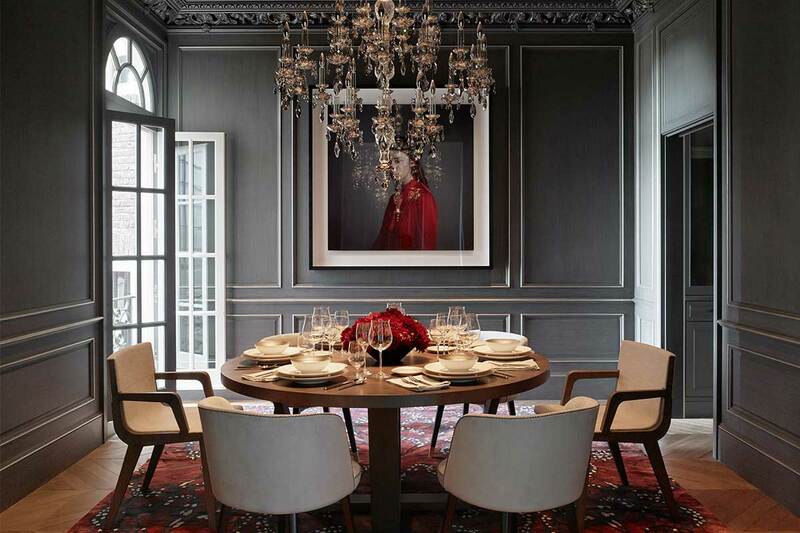 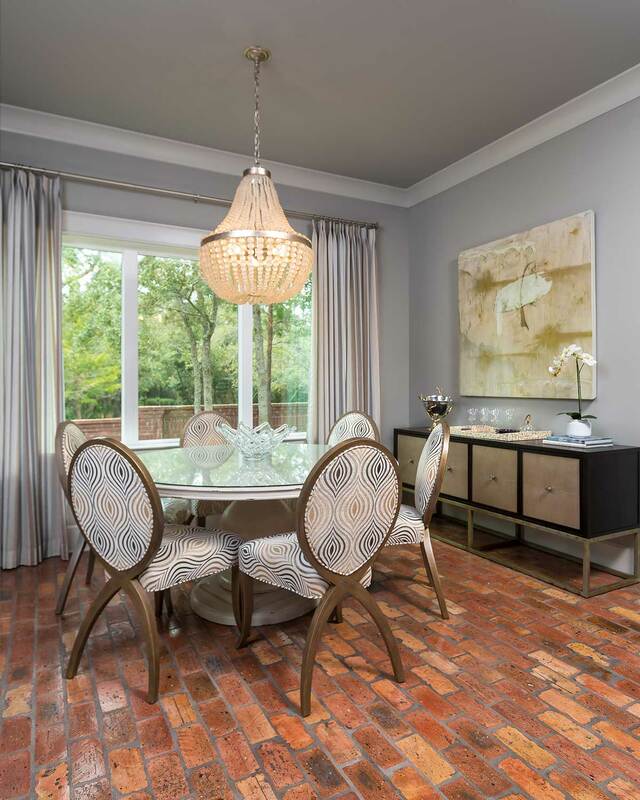 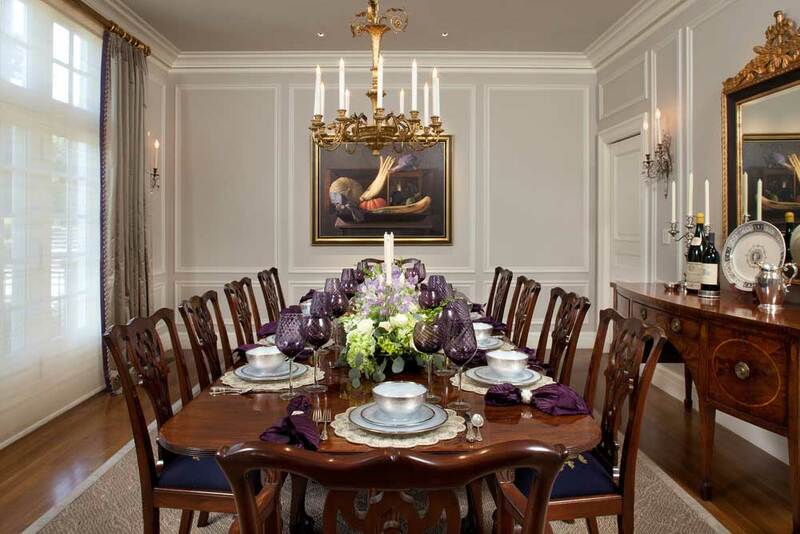 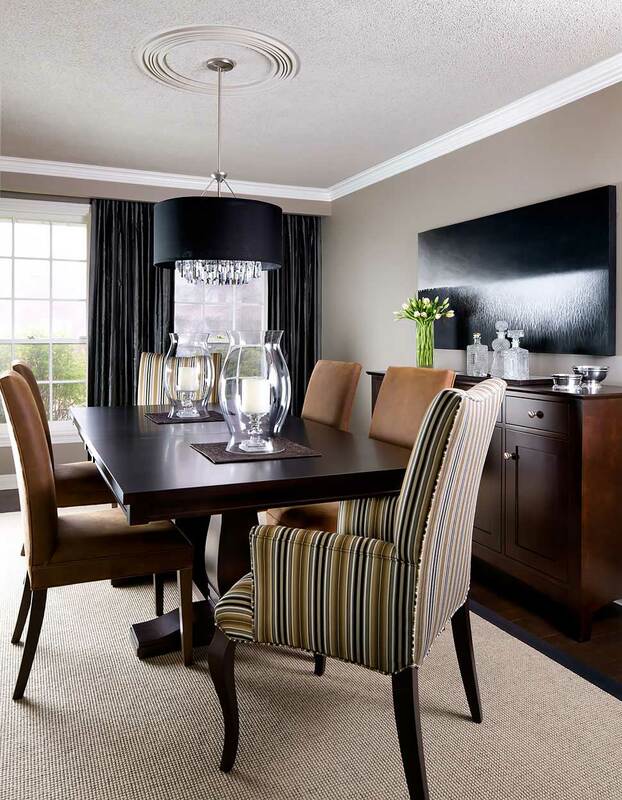 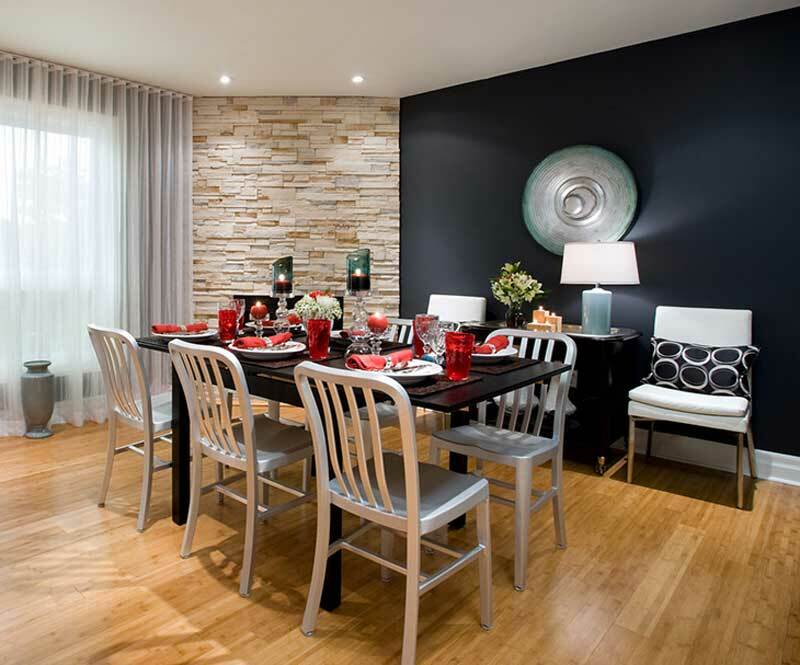 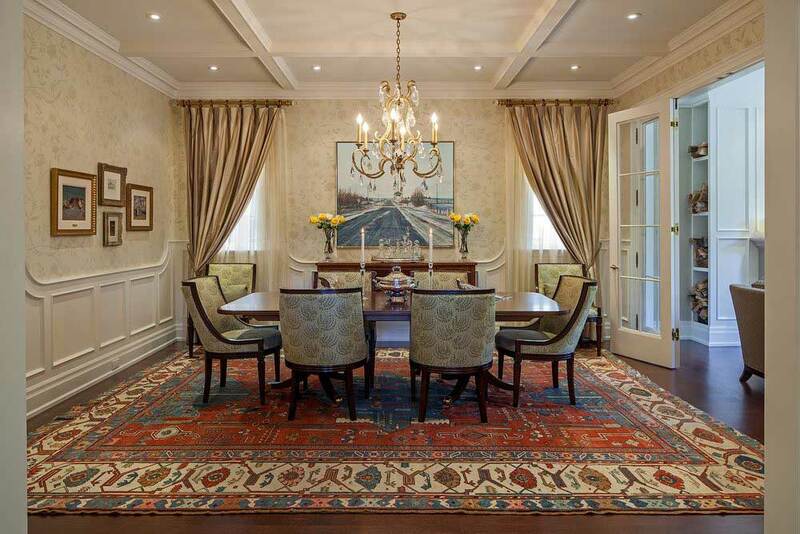 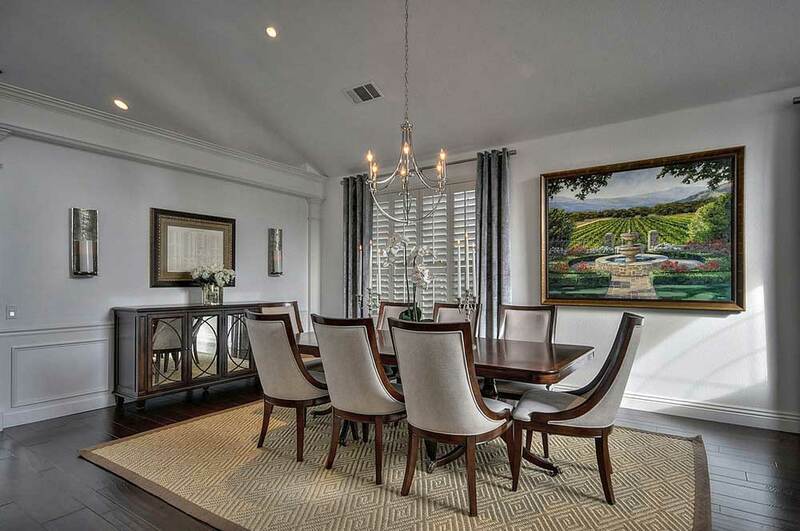 Dining rooms look best with neutral colors, to keep a feeling of intimacy. 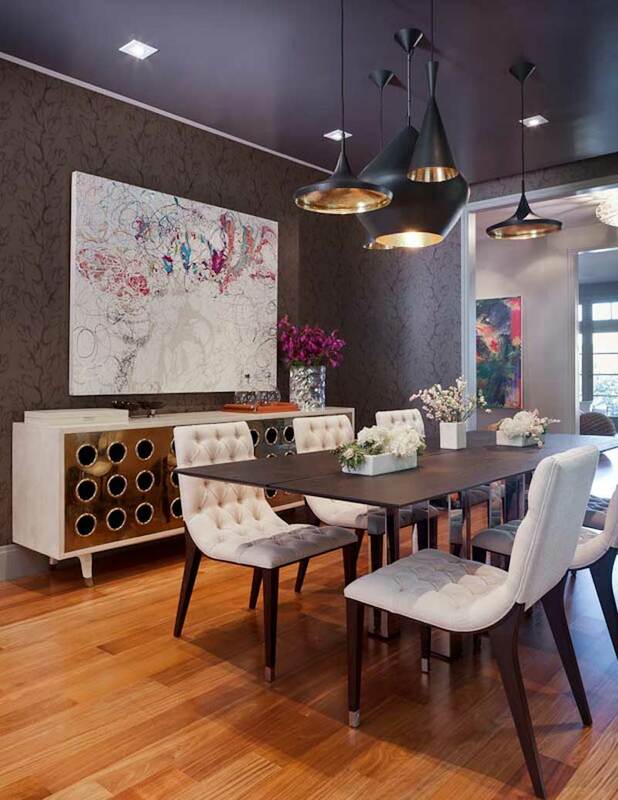 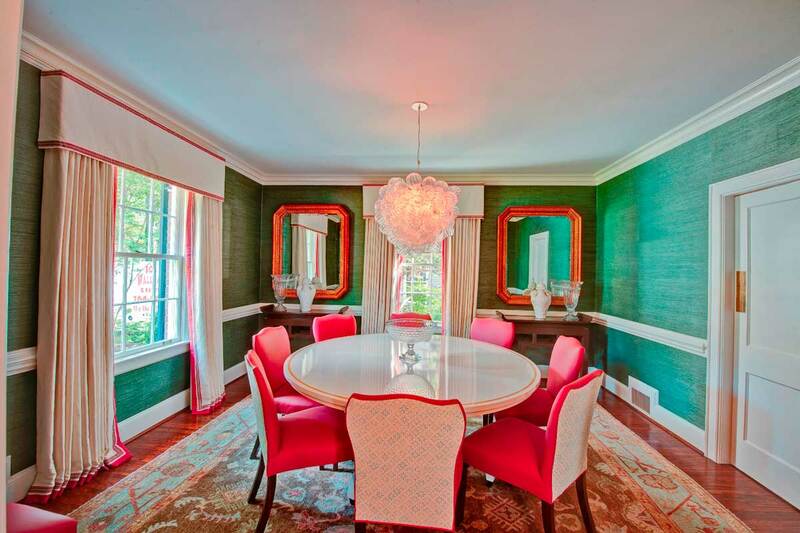 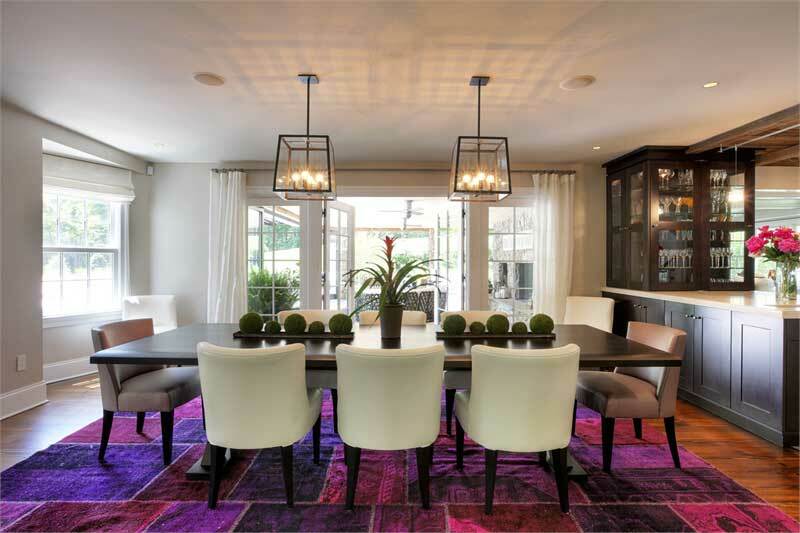 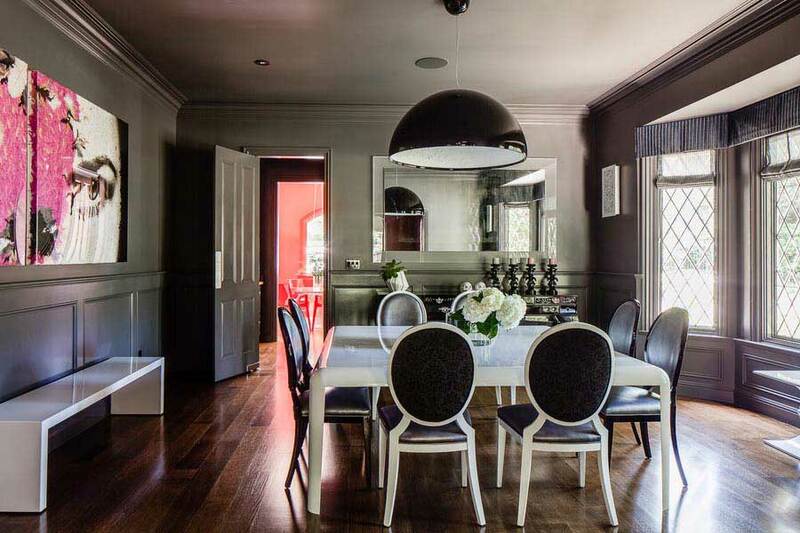 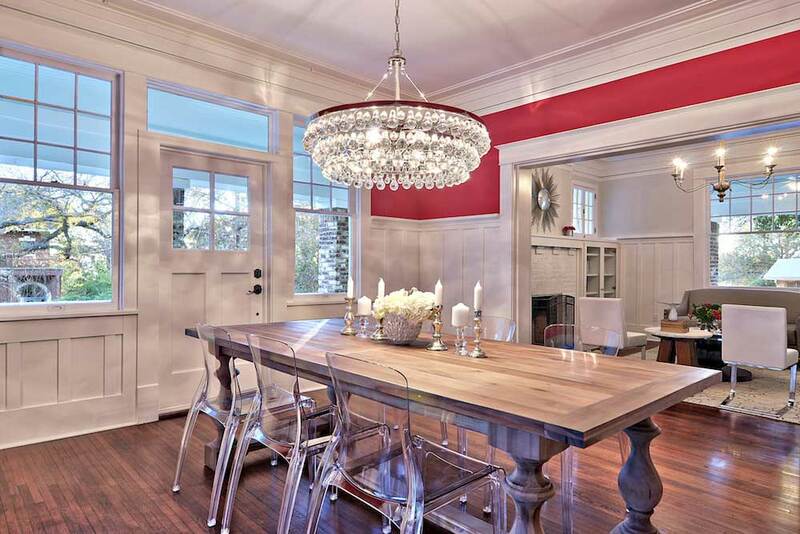 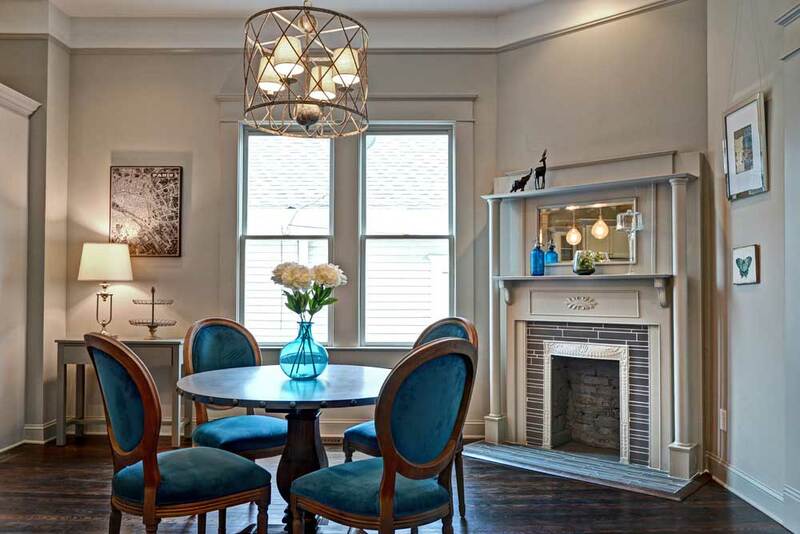 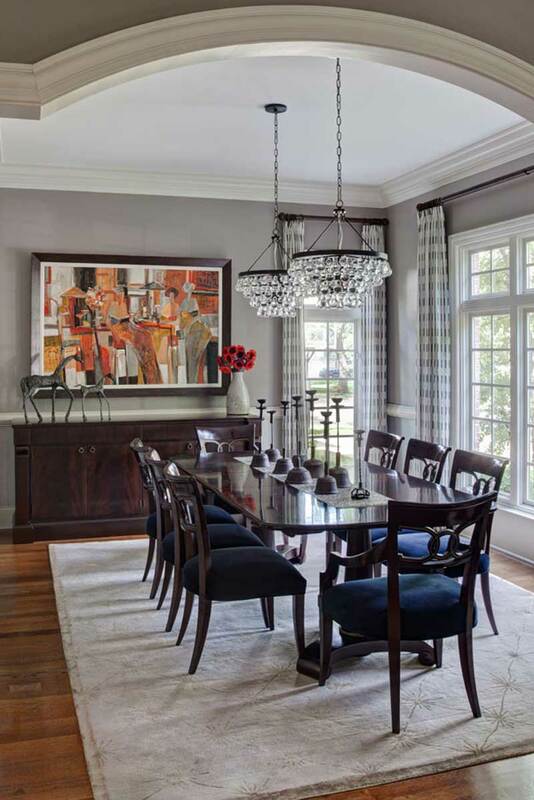 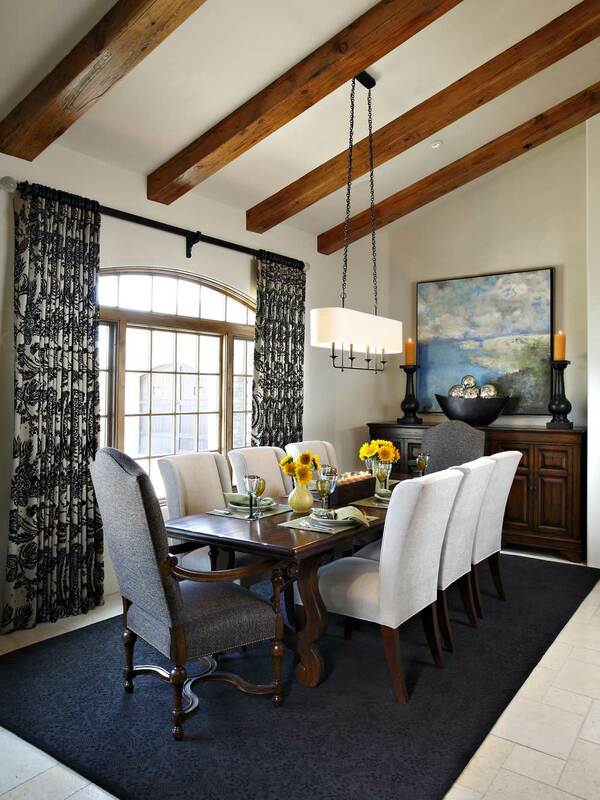 Jazz things up with pops of color in the light fixtures, on the walls or with table decor. 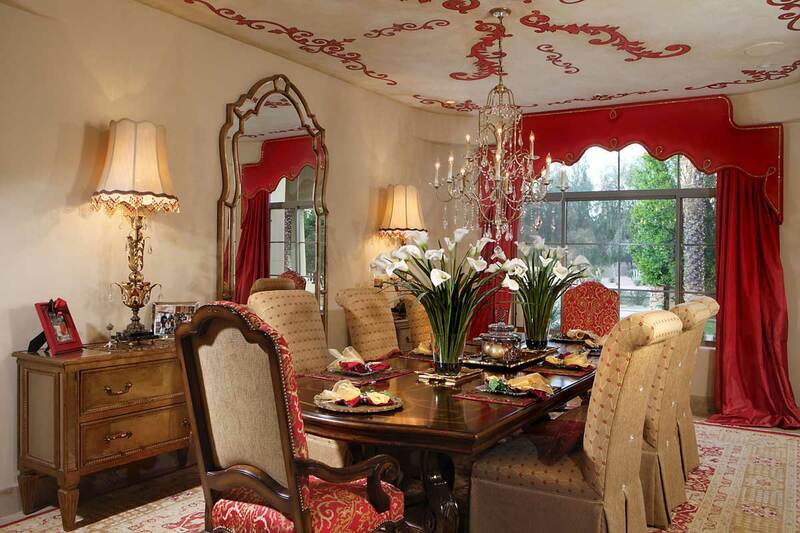 Use candles on special occasions for a very romantic feel. 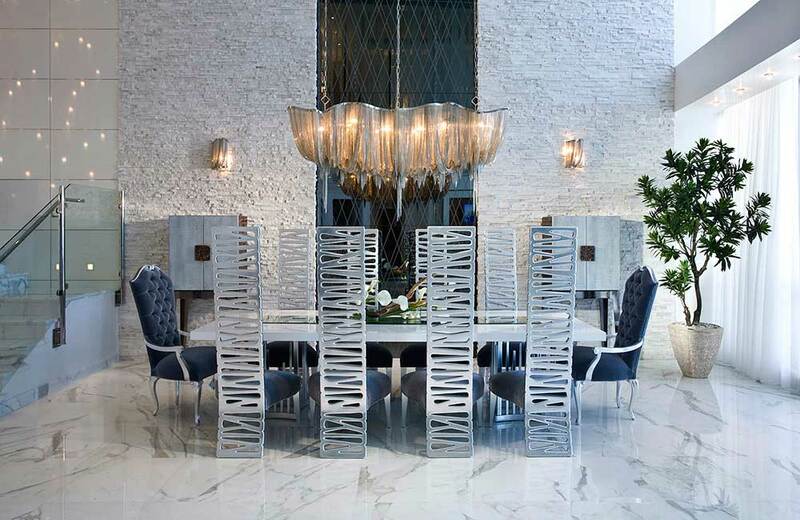 You can keep the candelabrum on the dining table or a side table as decor and put it to use when the mood calls for it. 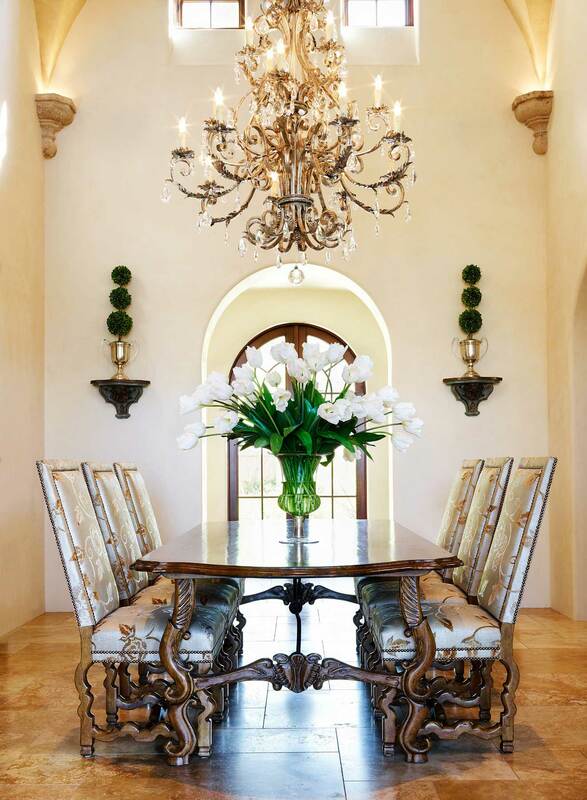 It is a very classic touch and very simple to do. 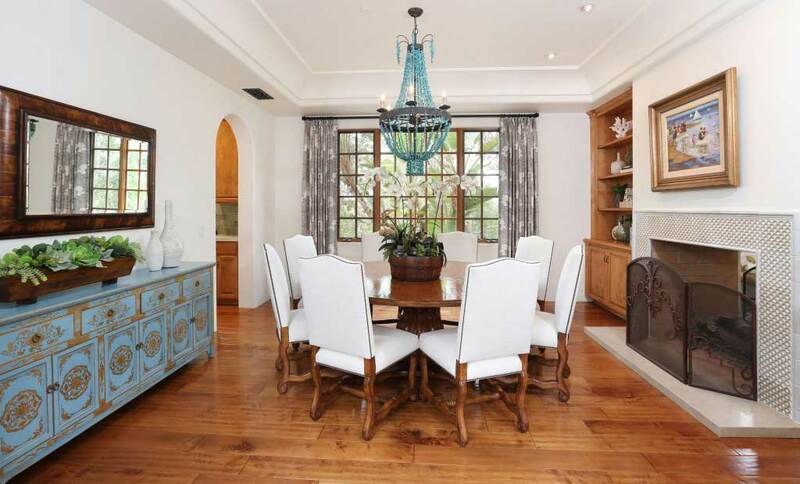 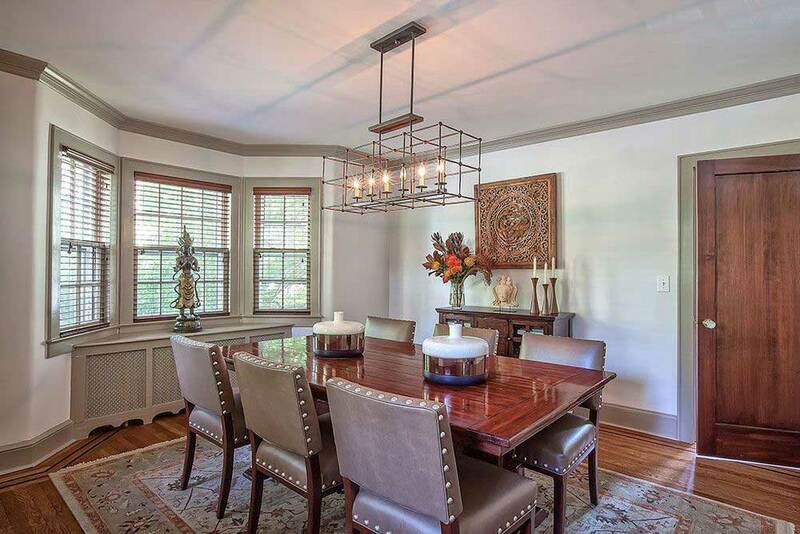 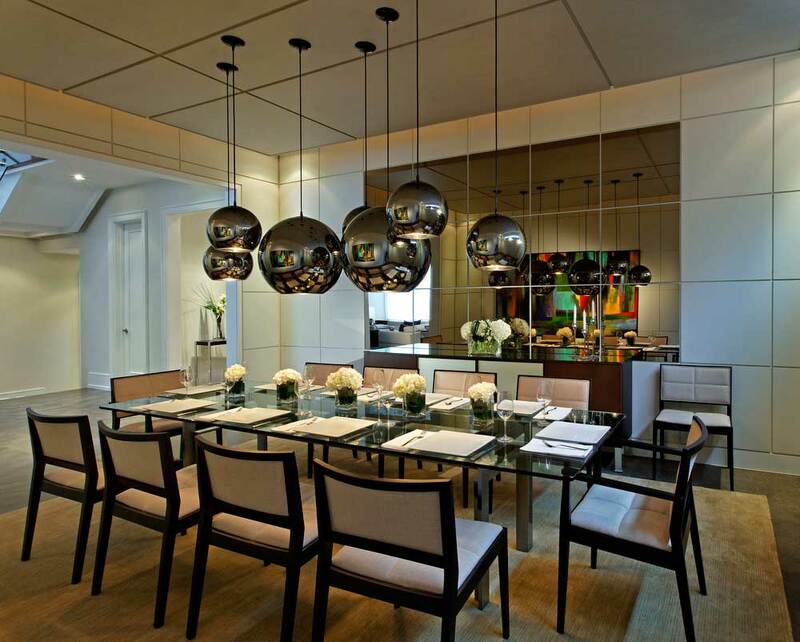 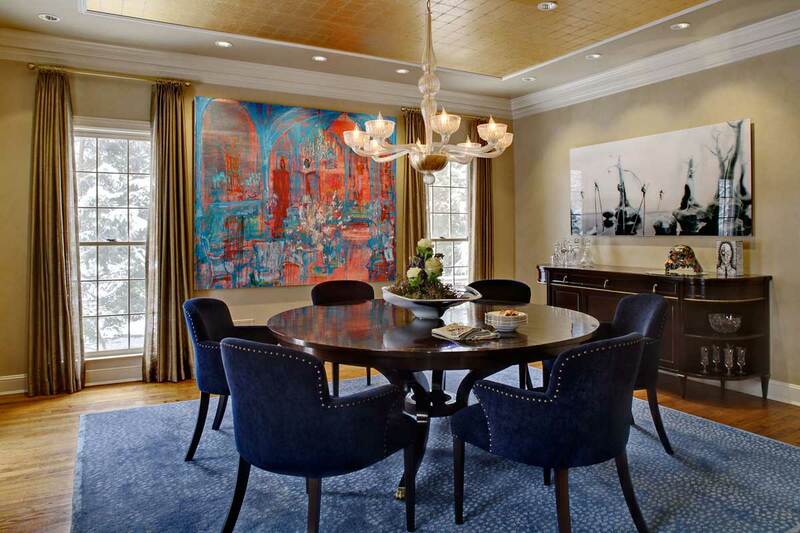 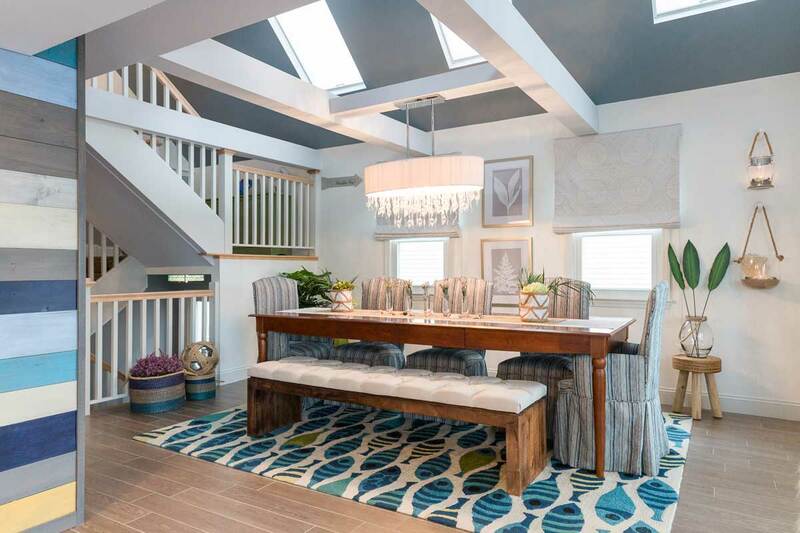 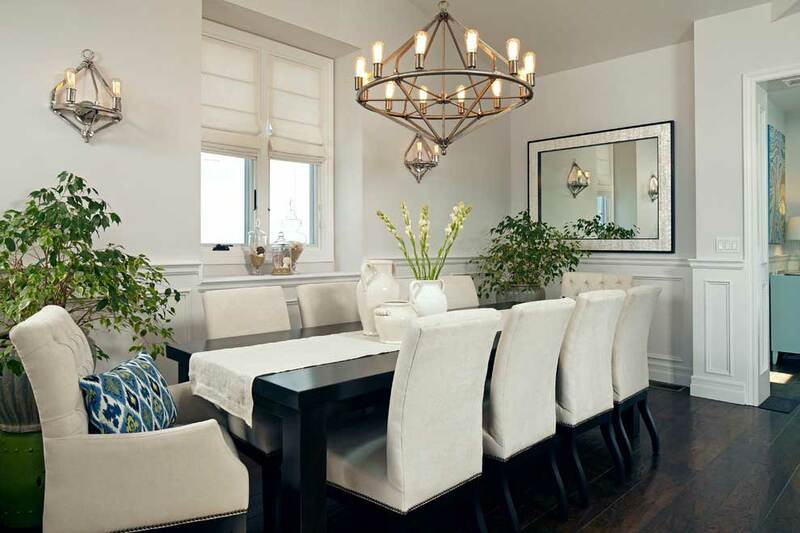 For above the dining table light fixtures, multiply the width by the length of the room. 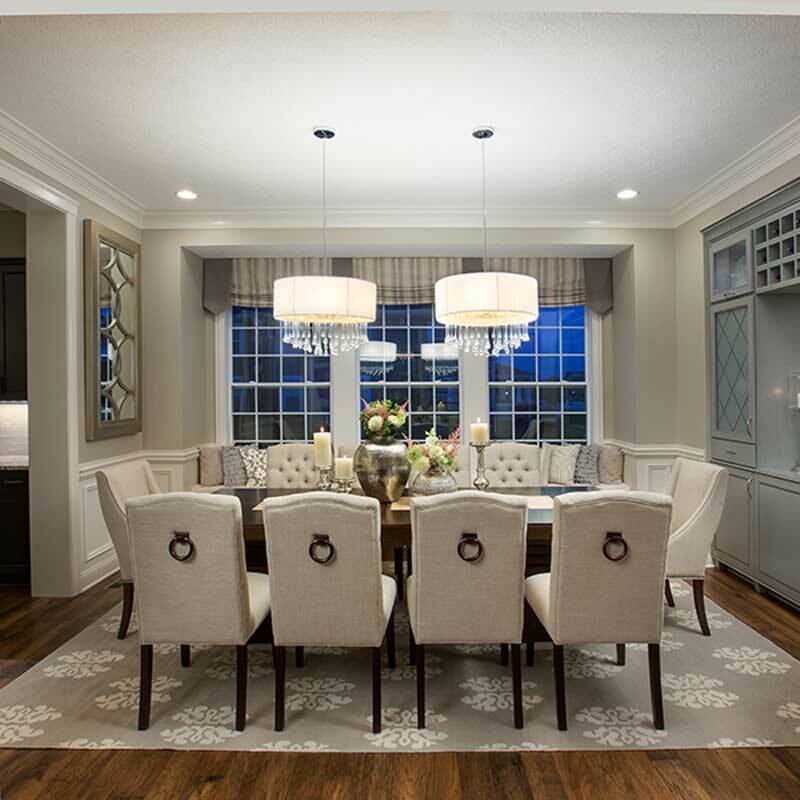 Then multiply that number by 1.5 and you will have an estimated amount of wattage you need for good, general light in the room.